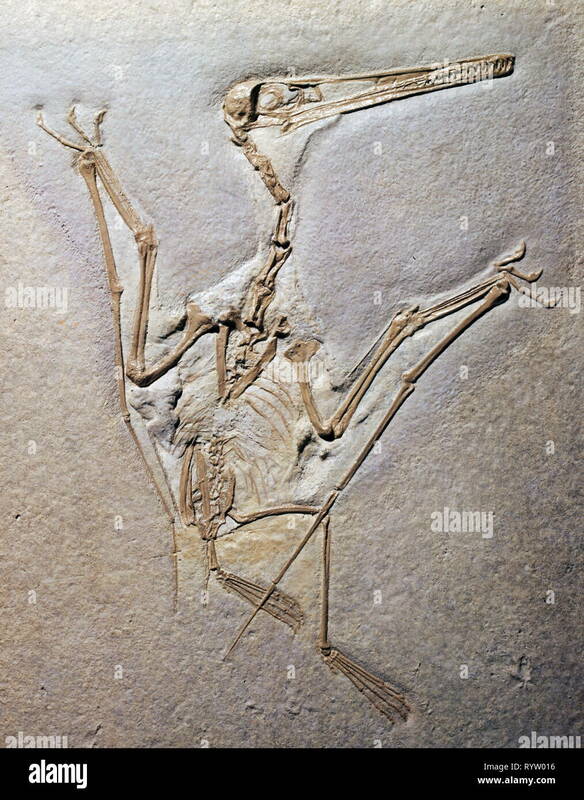 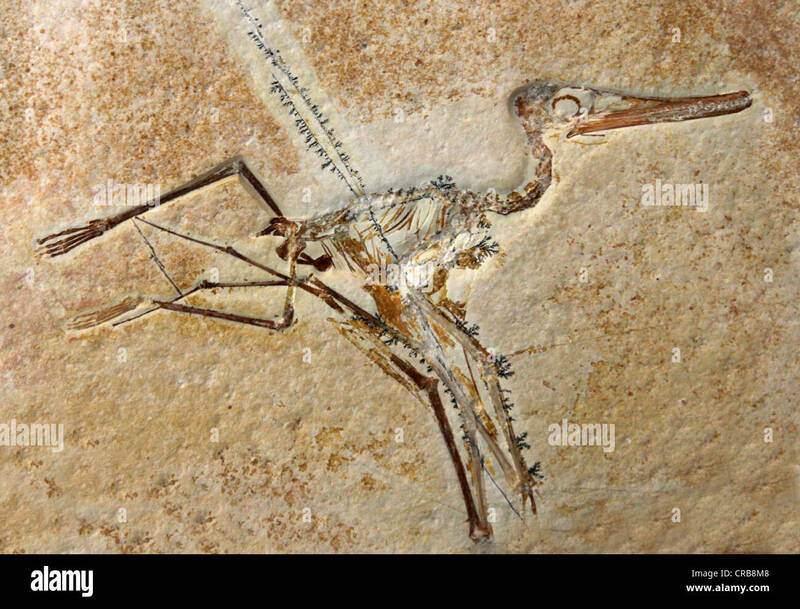 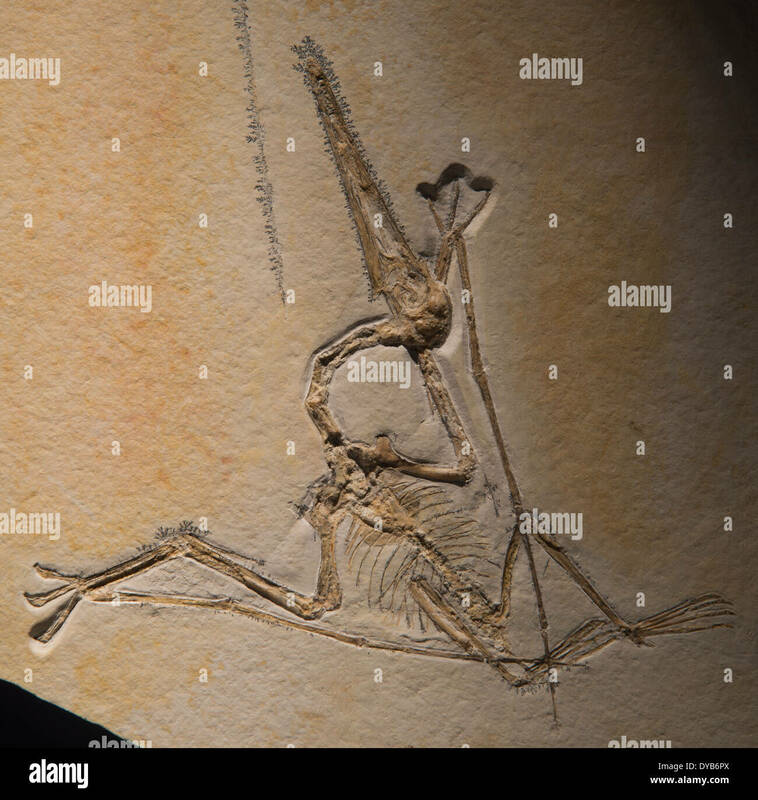 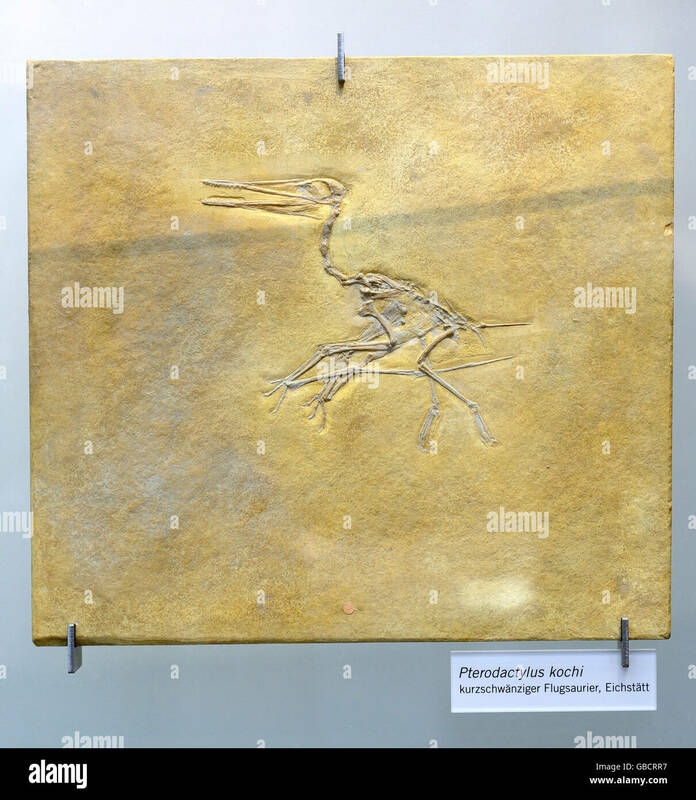 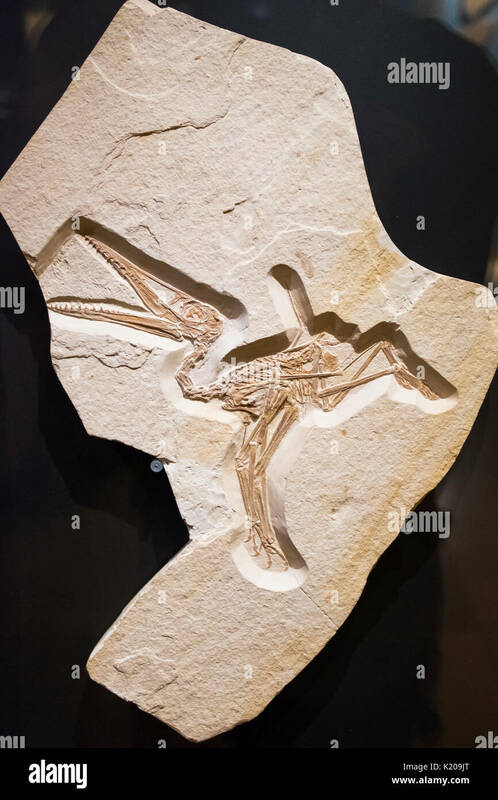 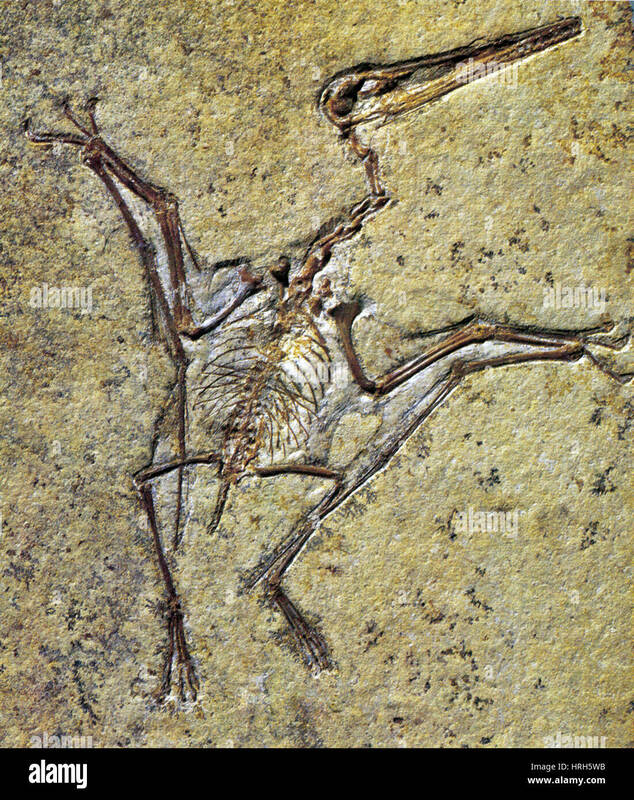 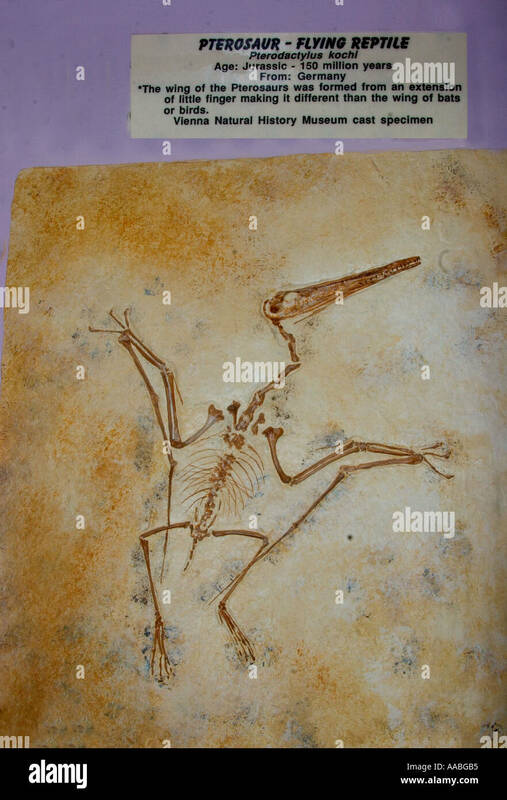 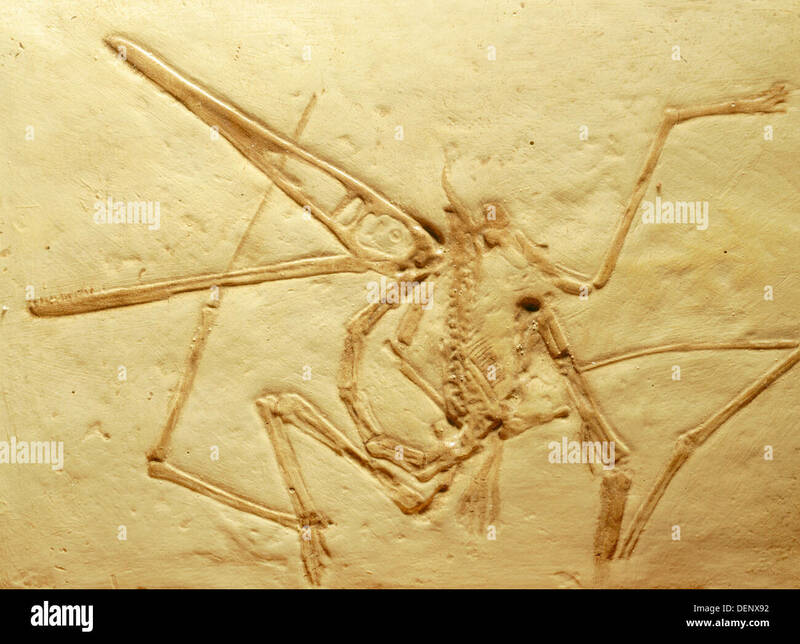 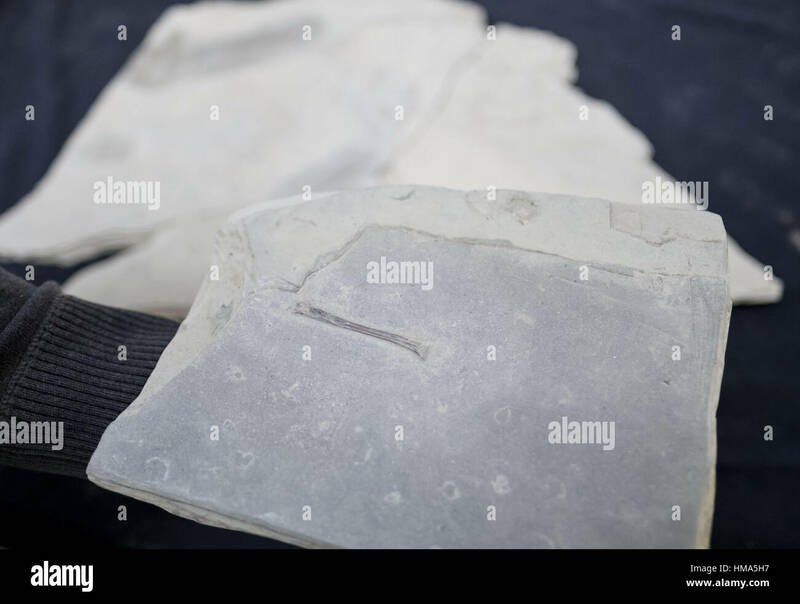 Pterodactyl, (Pterodactylus or Ornithocephalus kochi) fossil, late Jurassic, Germany. 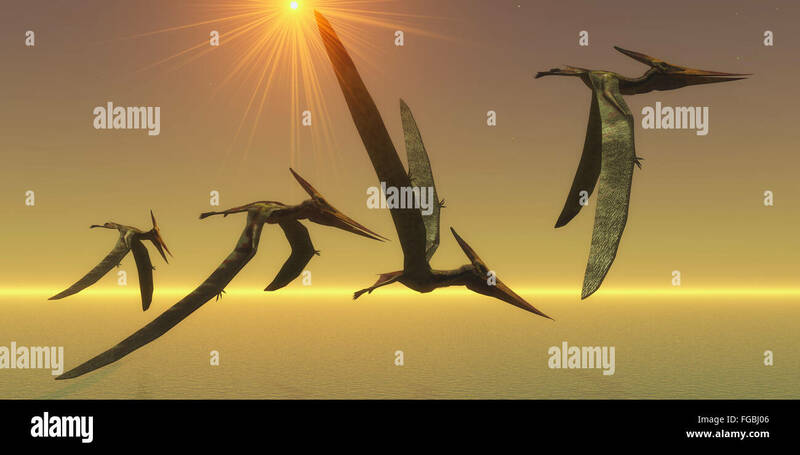 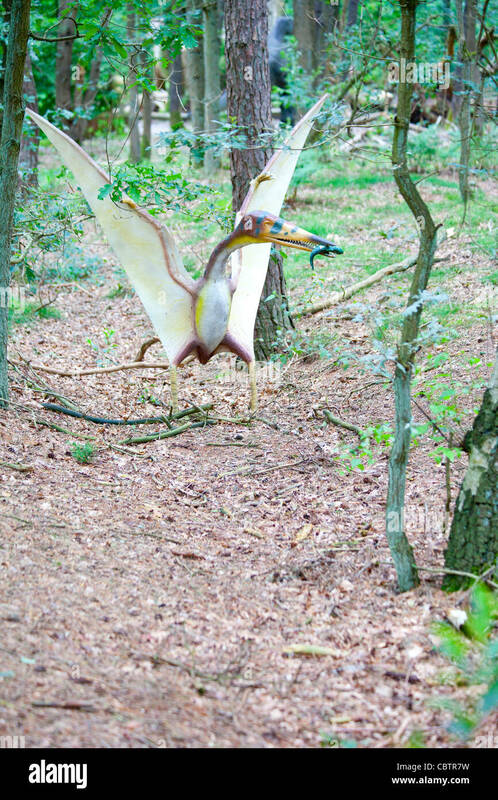 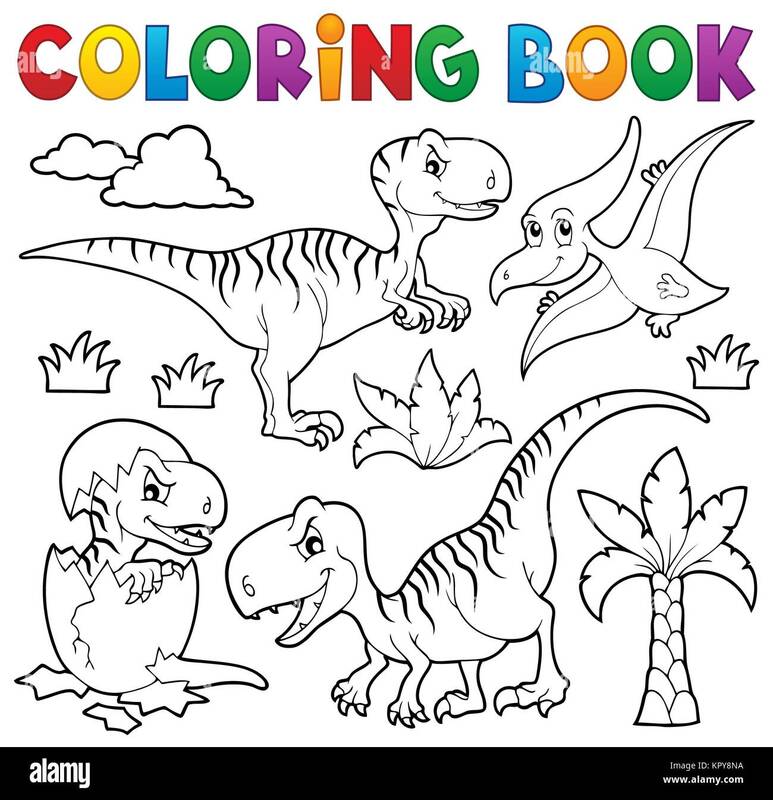 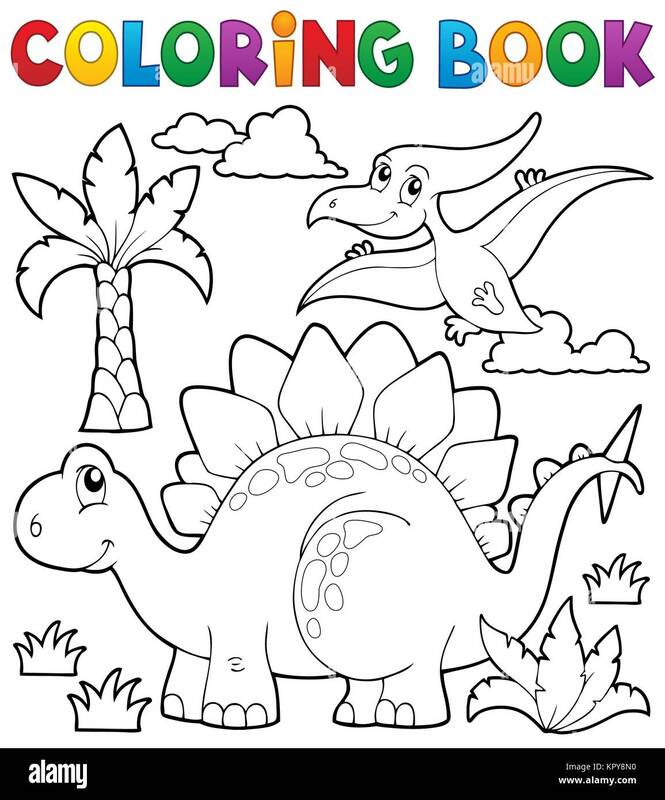 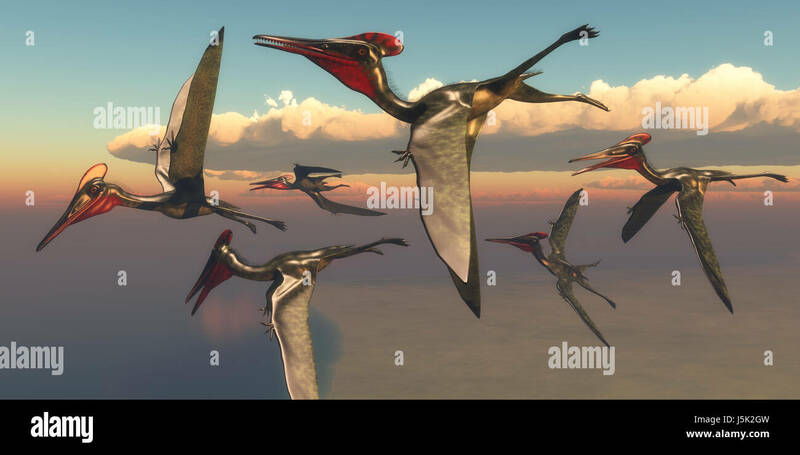 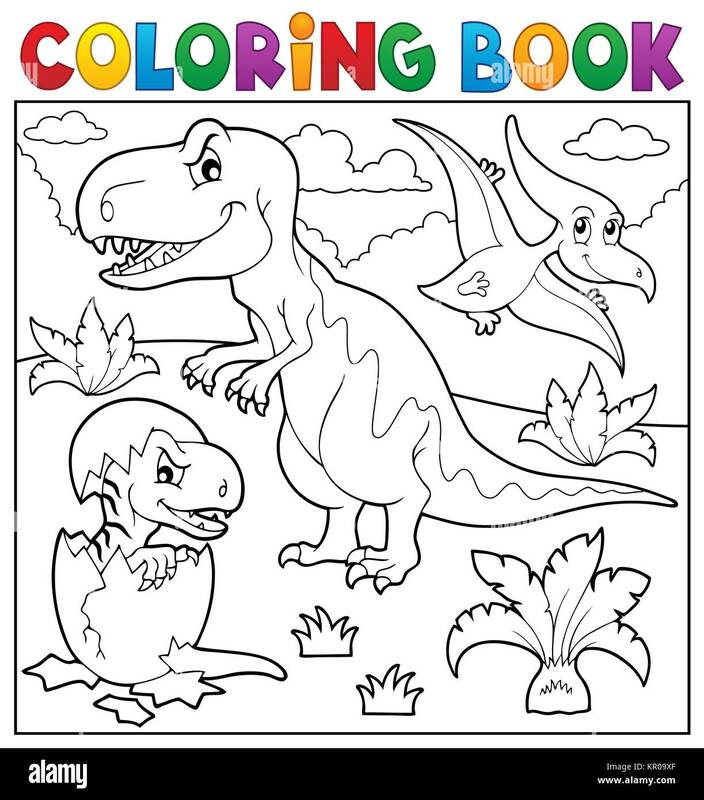 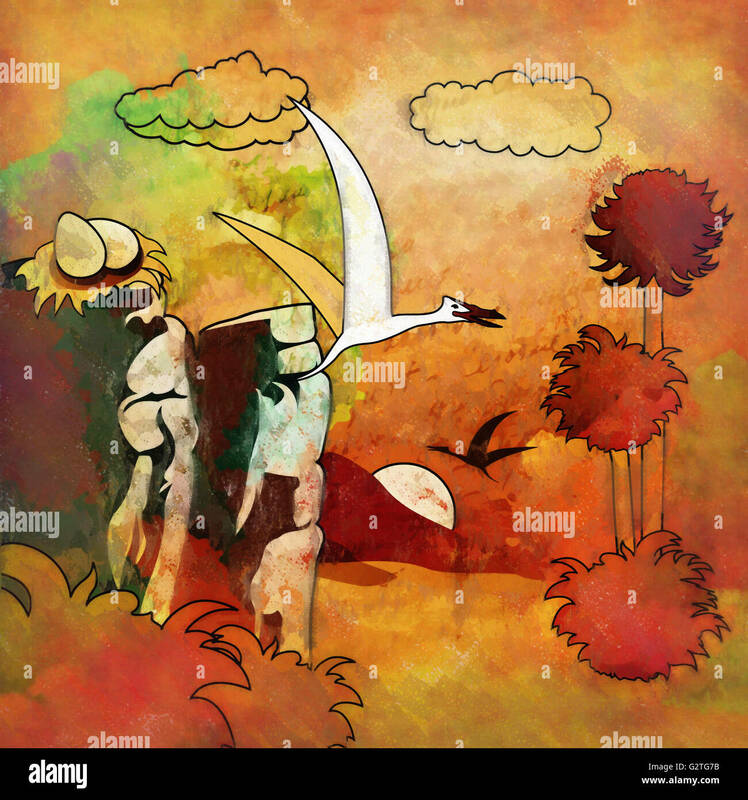 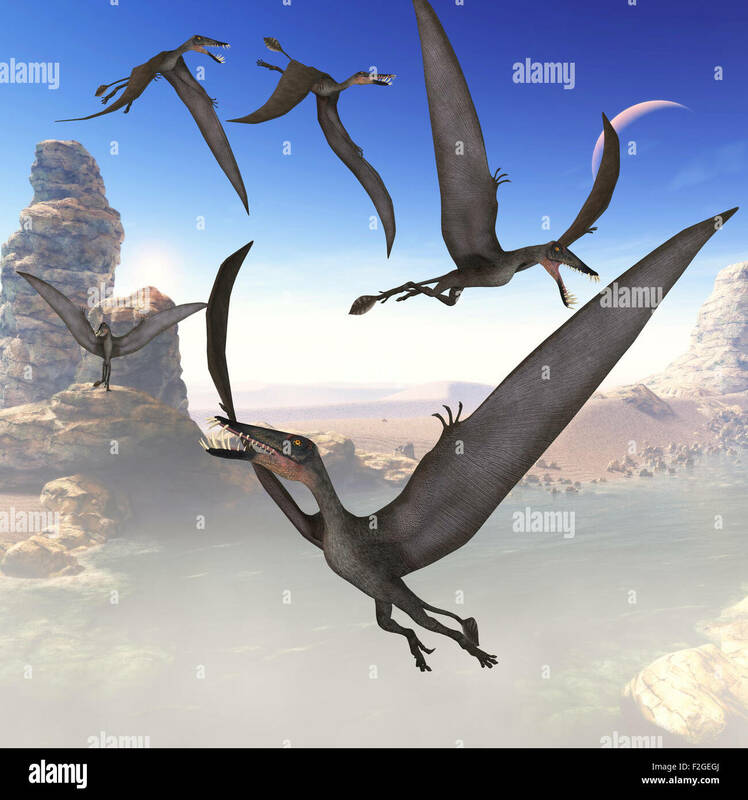 A flock of Pterodactylus dinosaur reptiles fly over the jungle searching for their next meal. 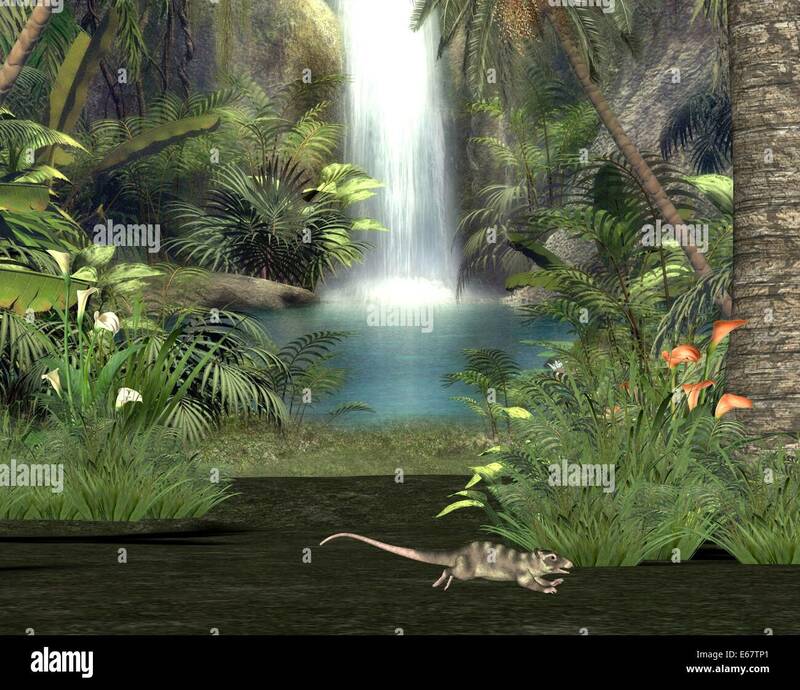 A Yangchuanosaurus hunts through heavy jungle foliage for prey as a flock of Pterodactylus reptiles keep close watch on him. 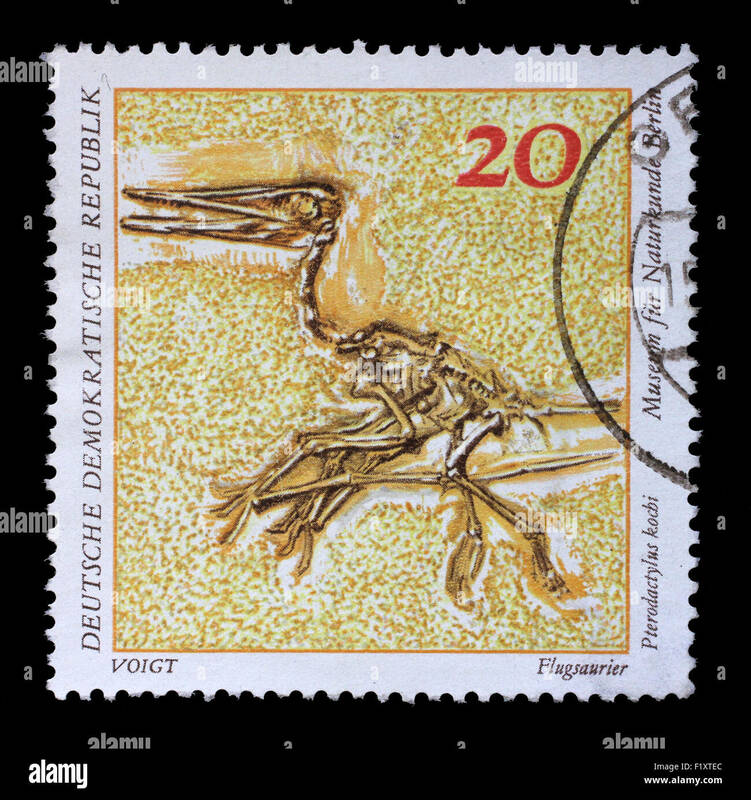 GDR-CIRCA 1973: A stamp printed in GDR shows Pterodactylus kochi, Natural History Museum Pieces, circa 1973. 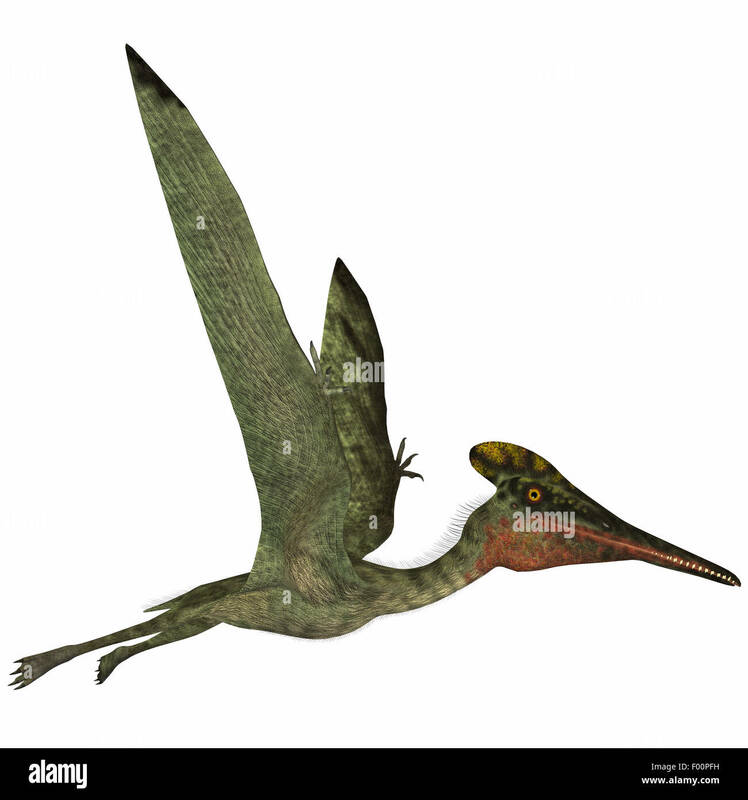 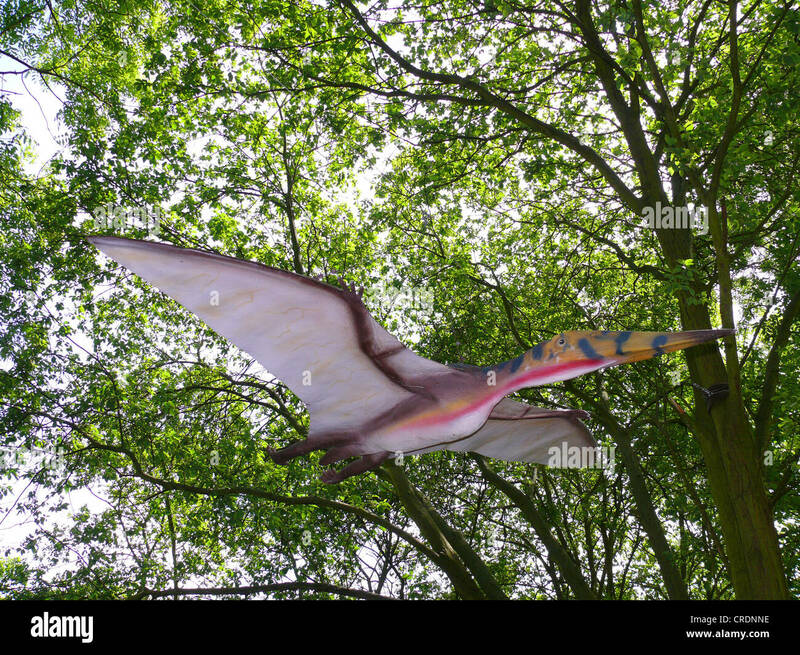 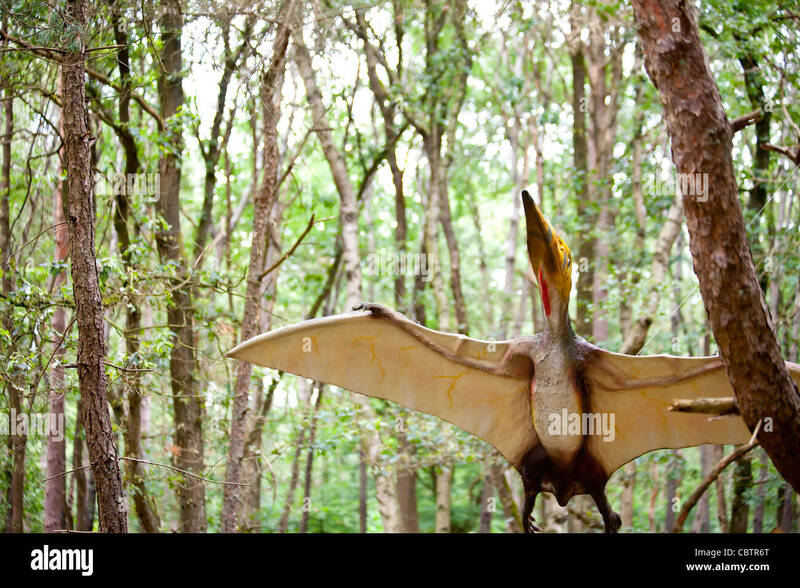 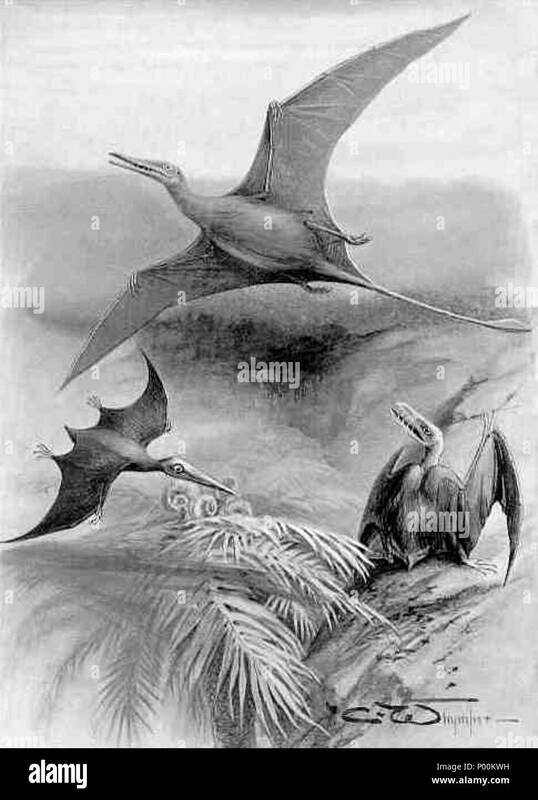 Pteranodons are flying reptiles that lived in the Cretaceous Period of North America in Earth's history. 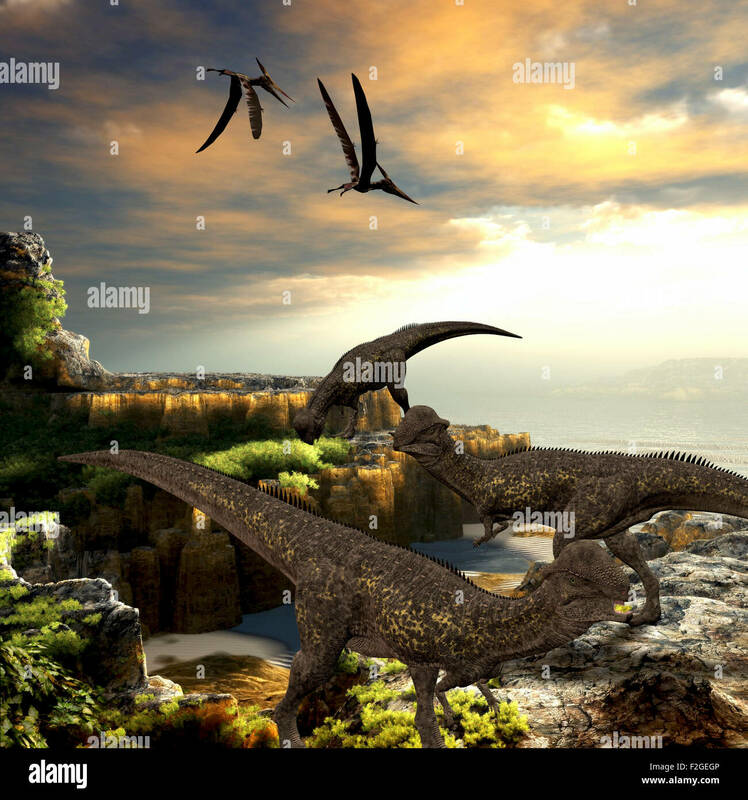 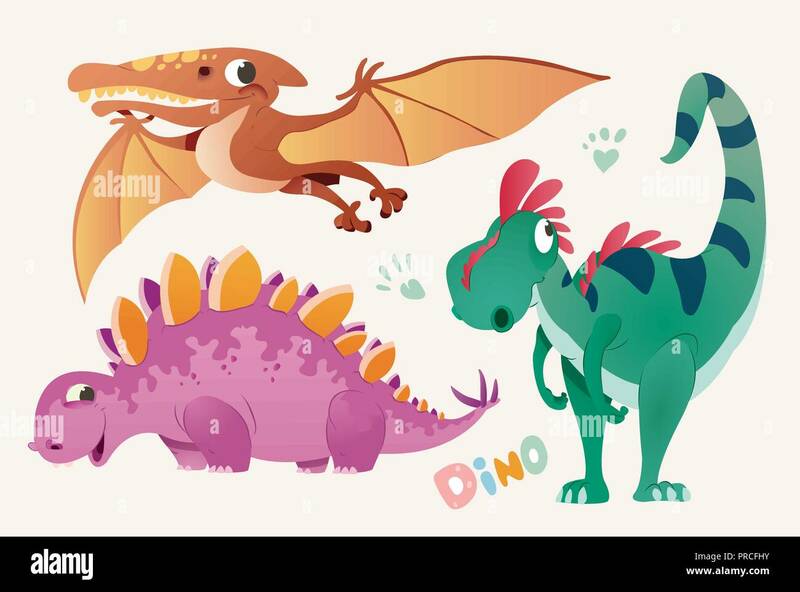 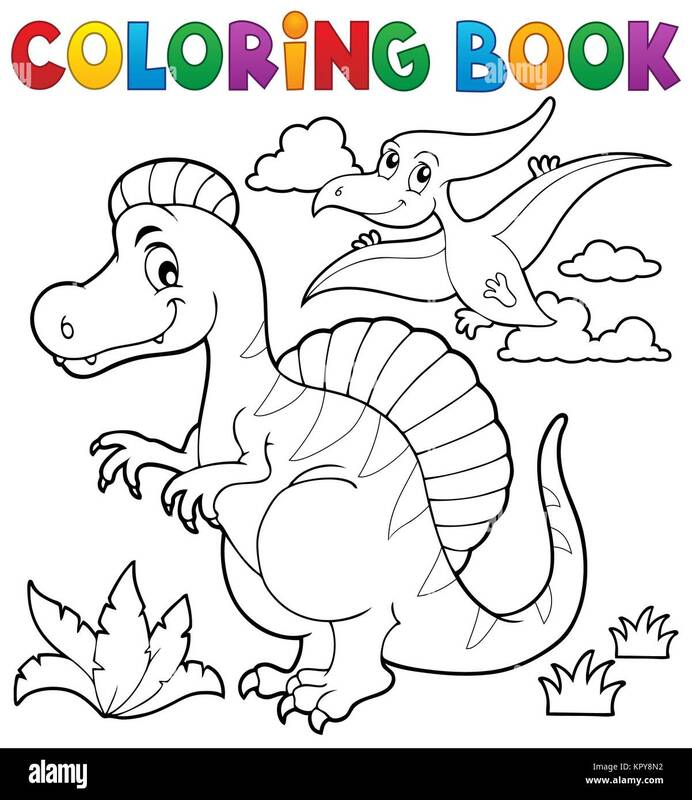 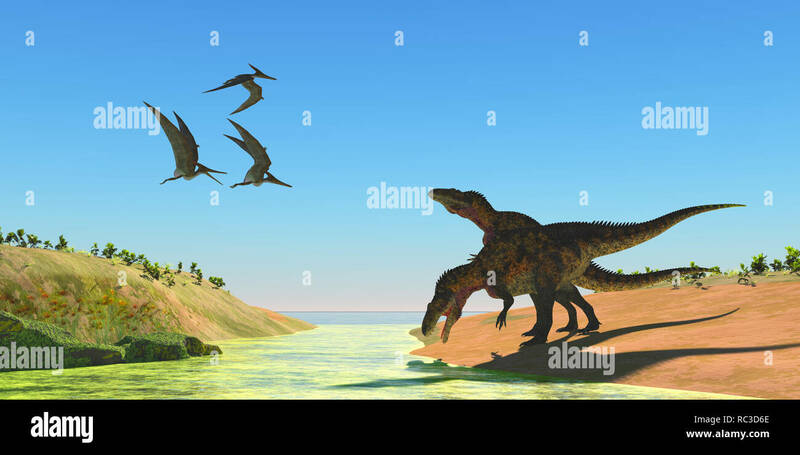 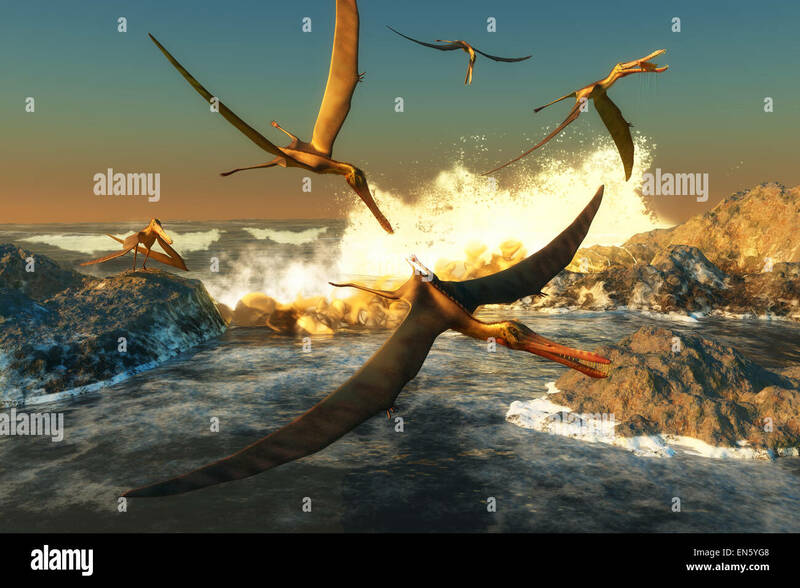 A flock of Anhanguera flying dinosaur reptiles catch fish off a rocky coast in prehistoric times. 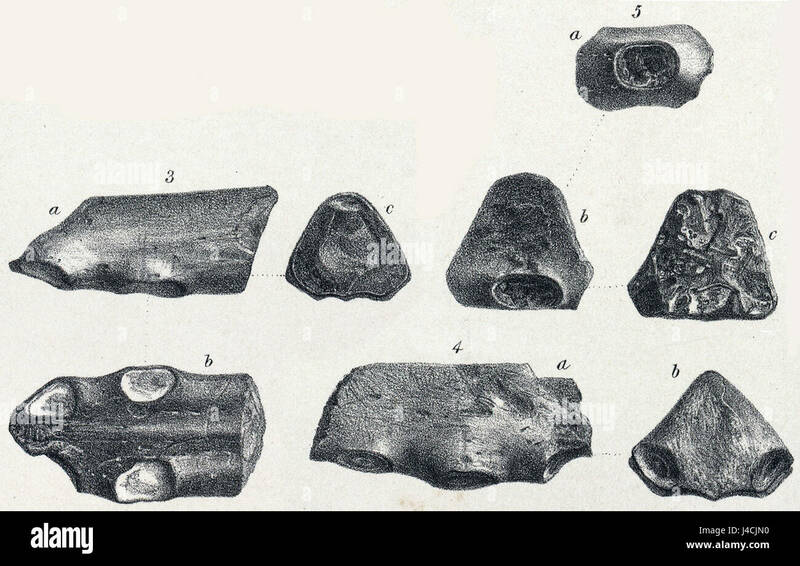 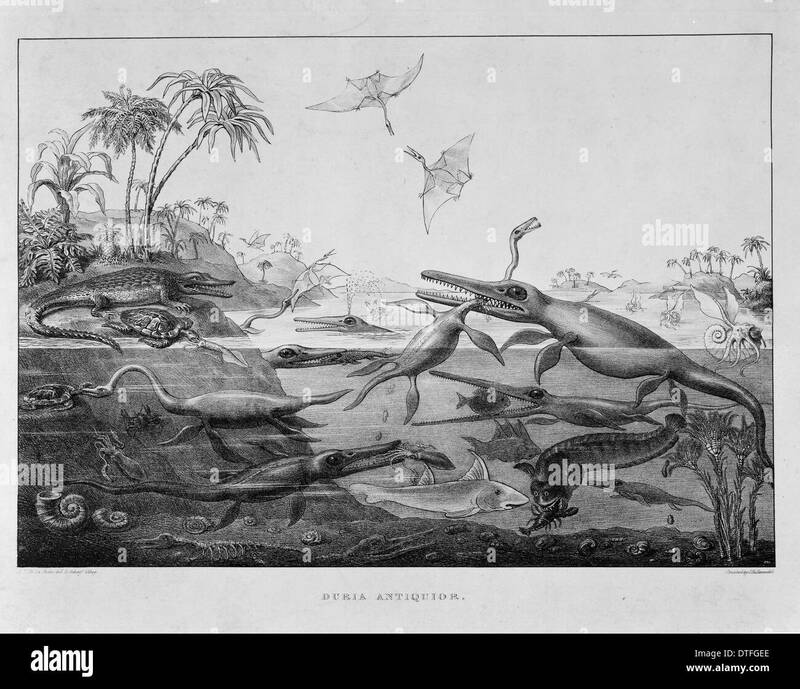 Ichthyosaurus, Rhamphorhynchus, Plesiosaurus, Megalosaurus, Pterodactylus. 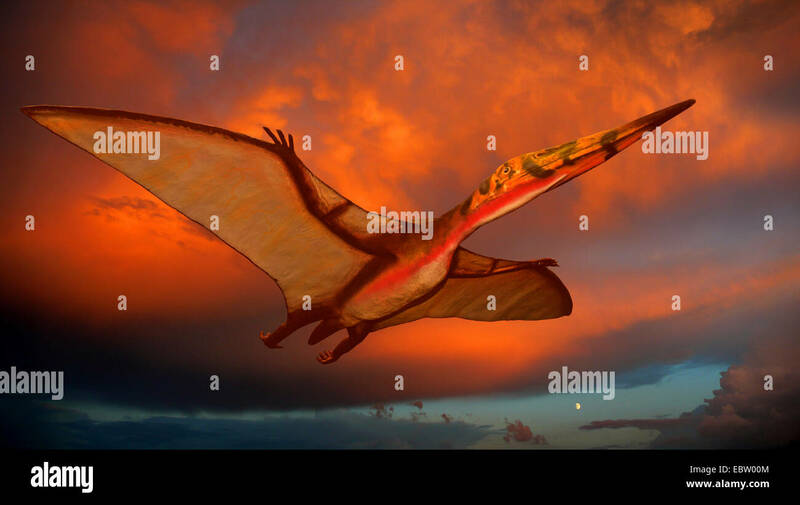 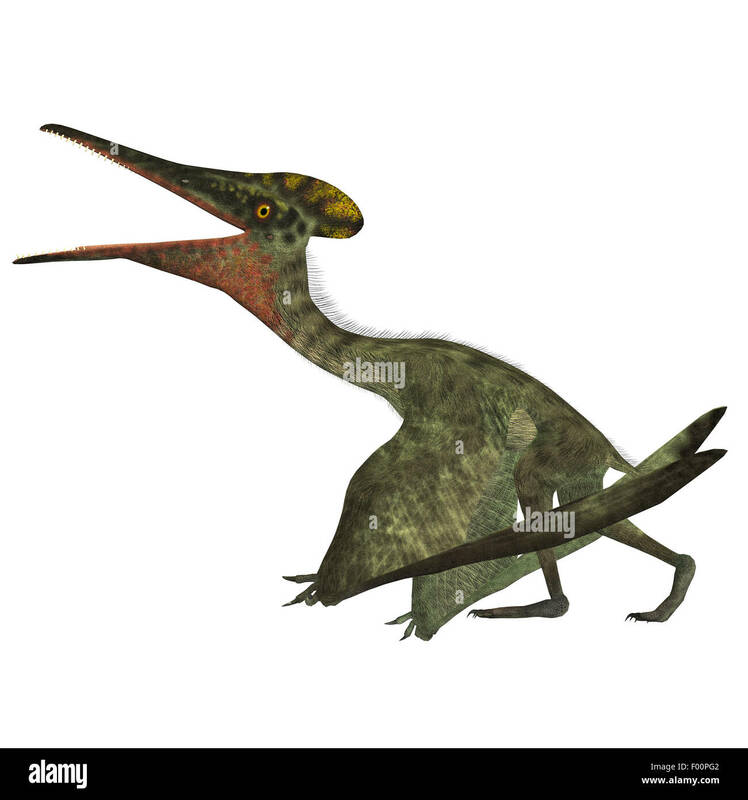 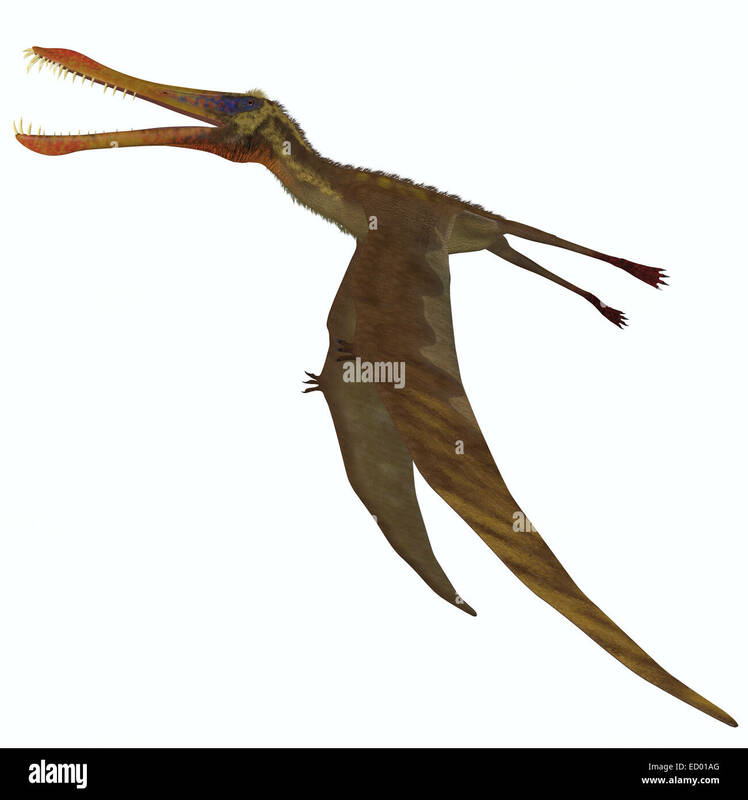 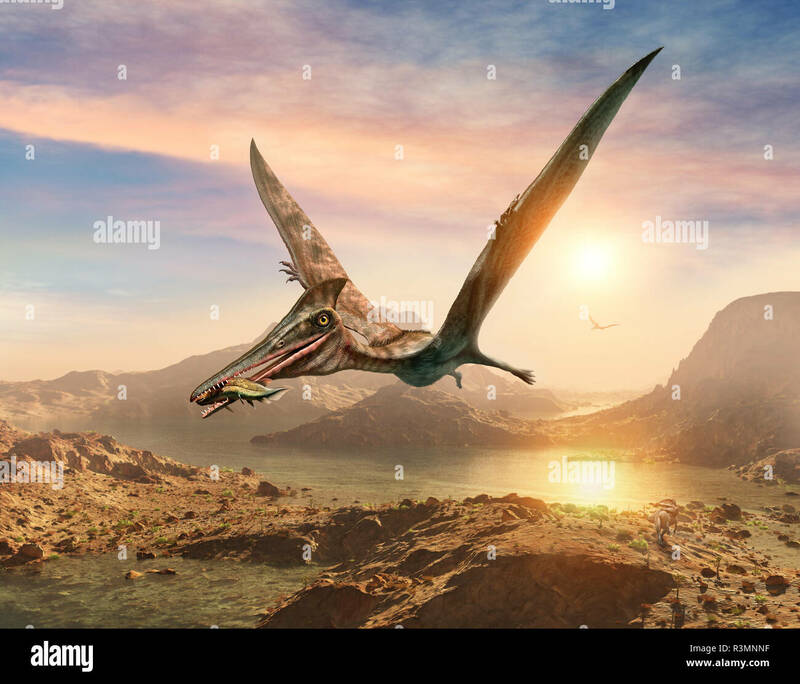 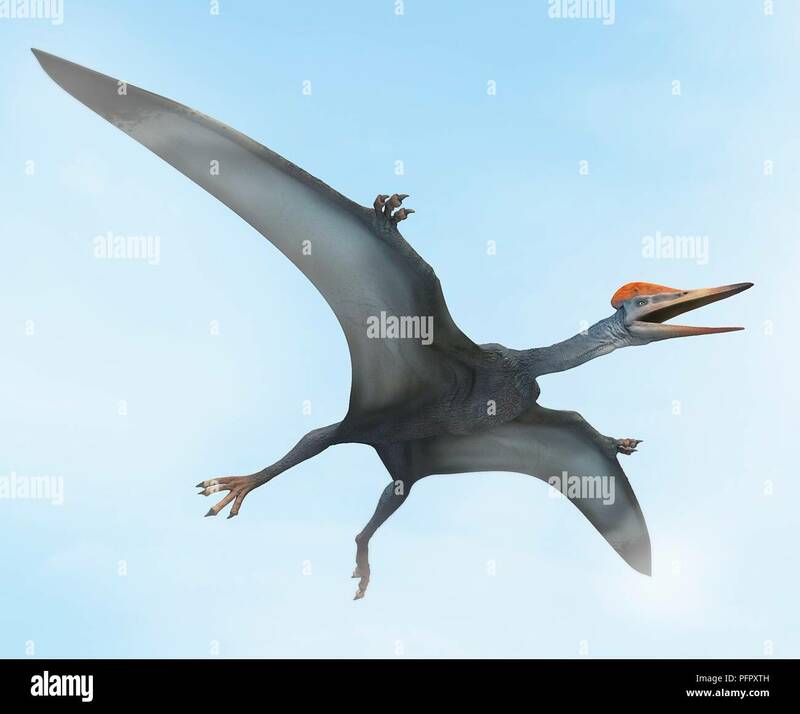 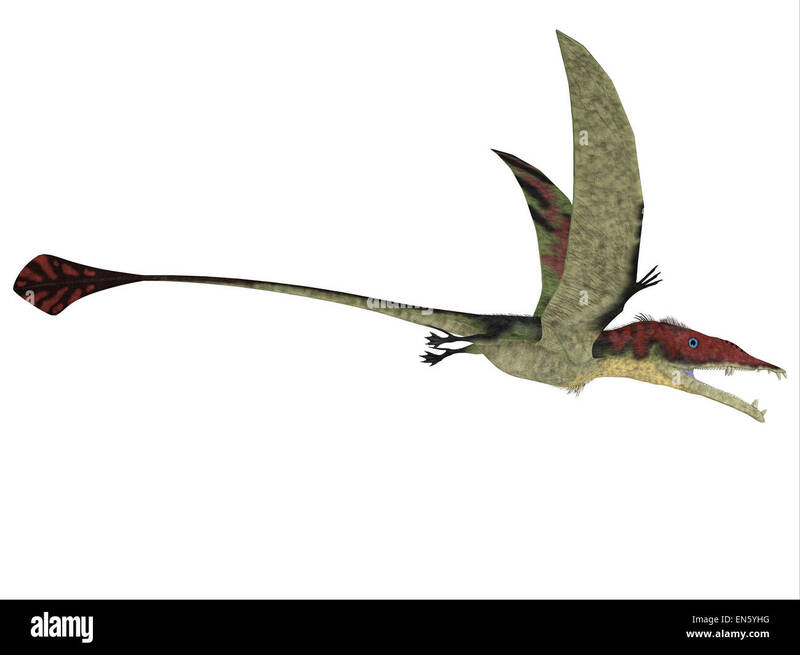 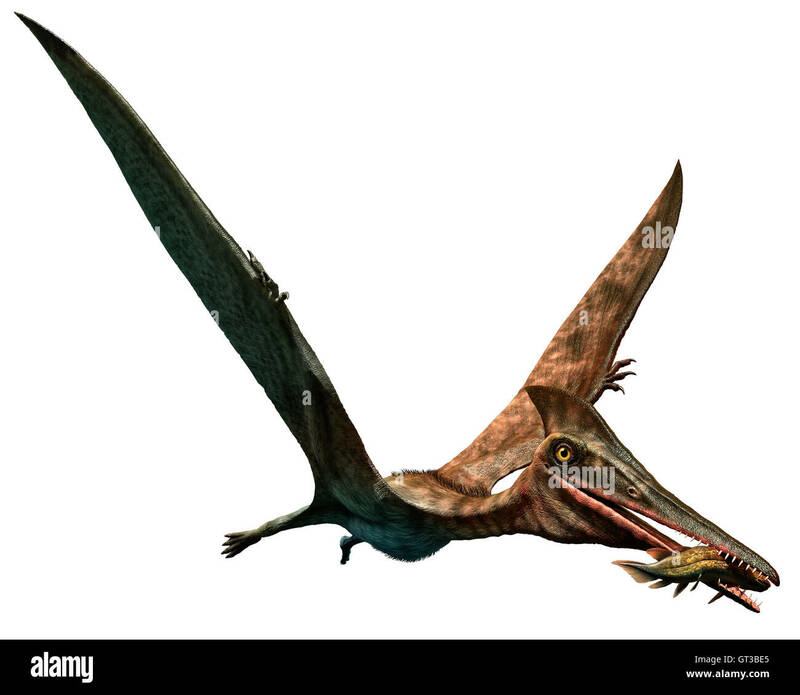 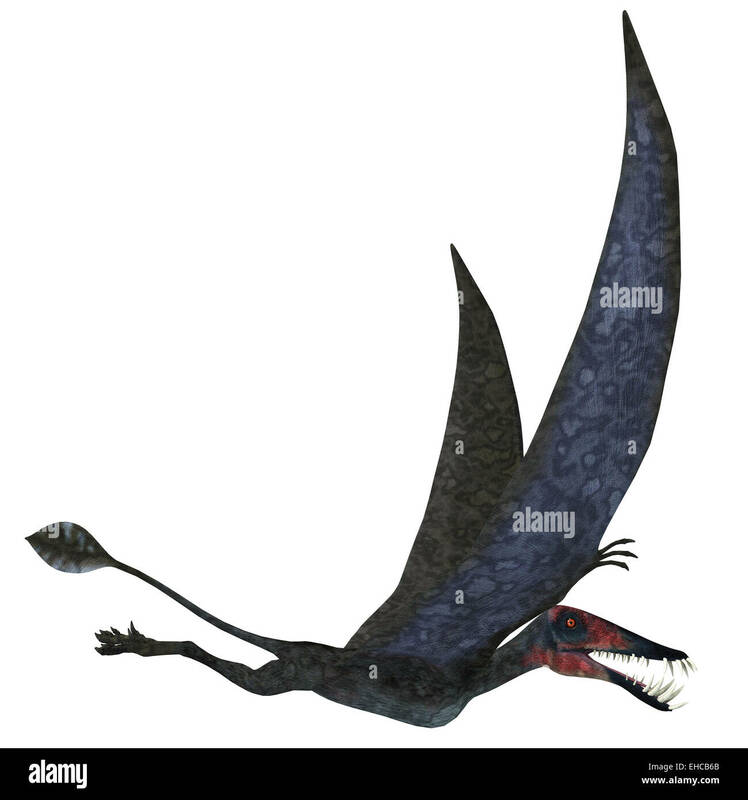 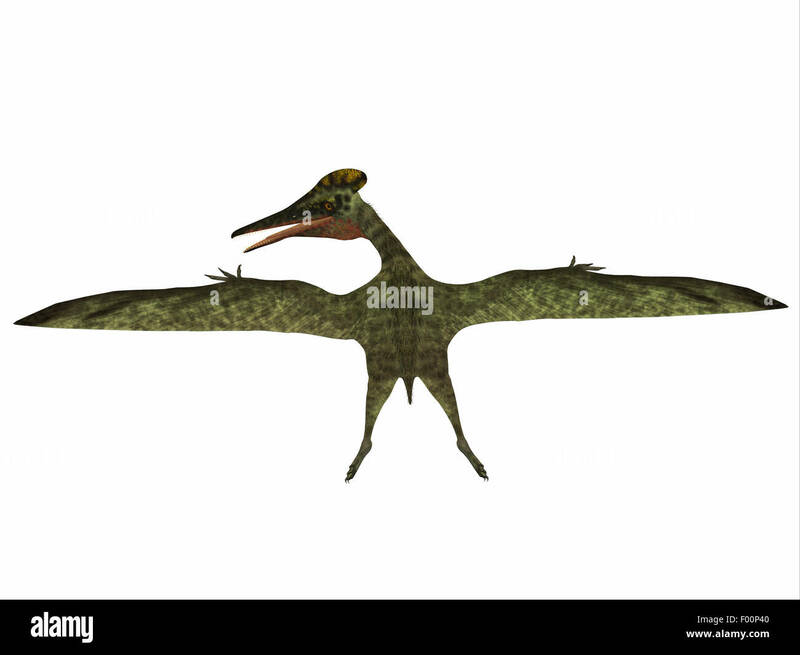 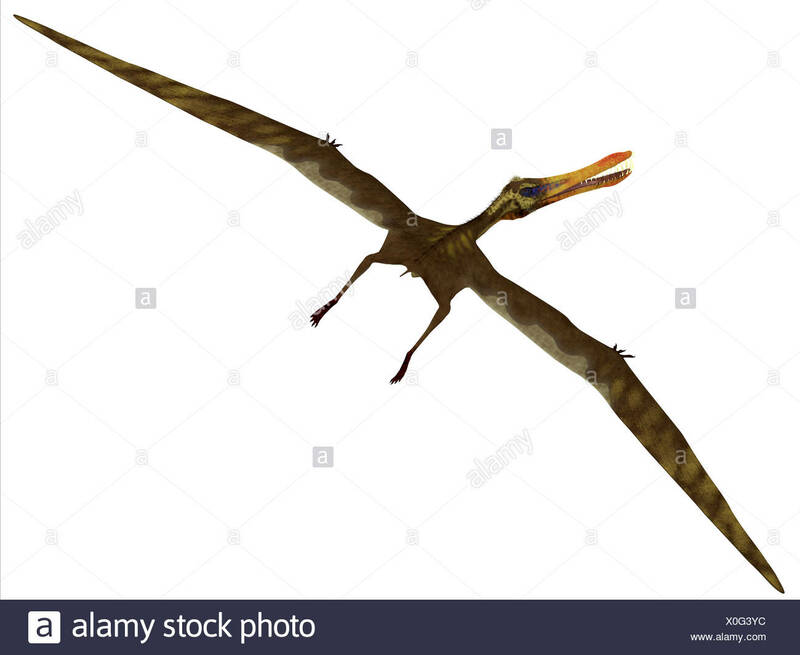 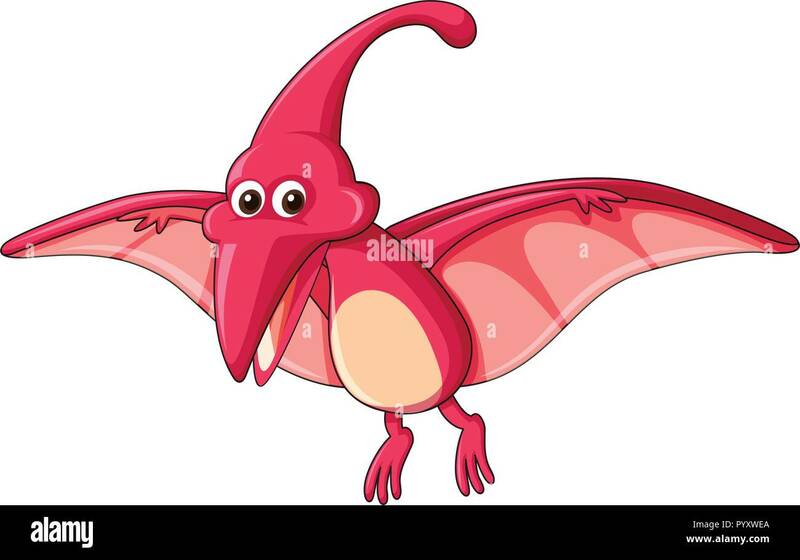 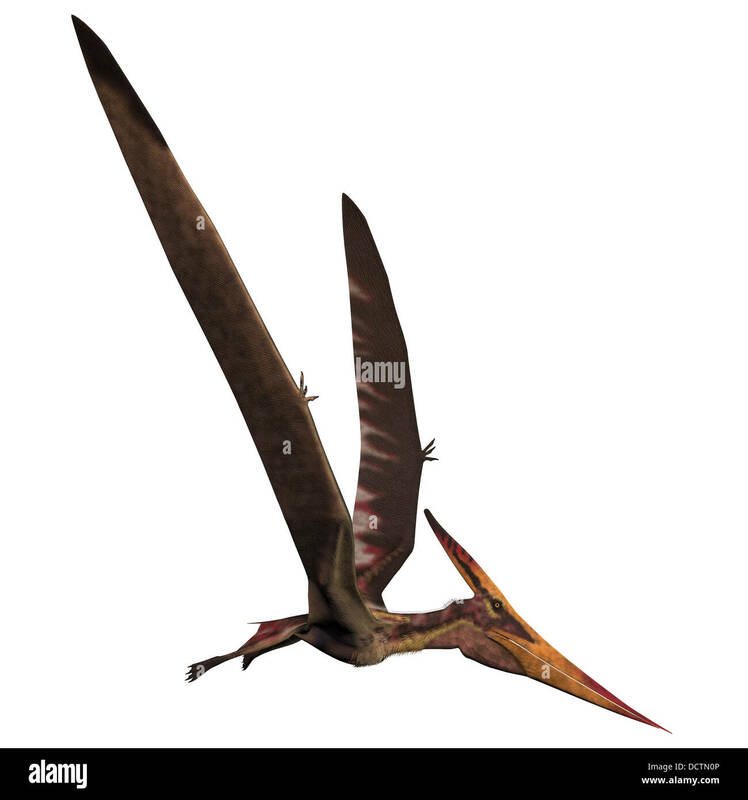 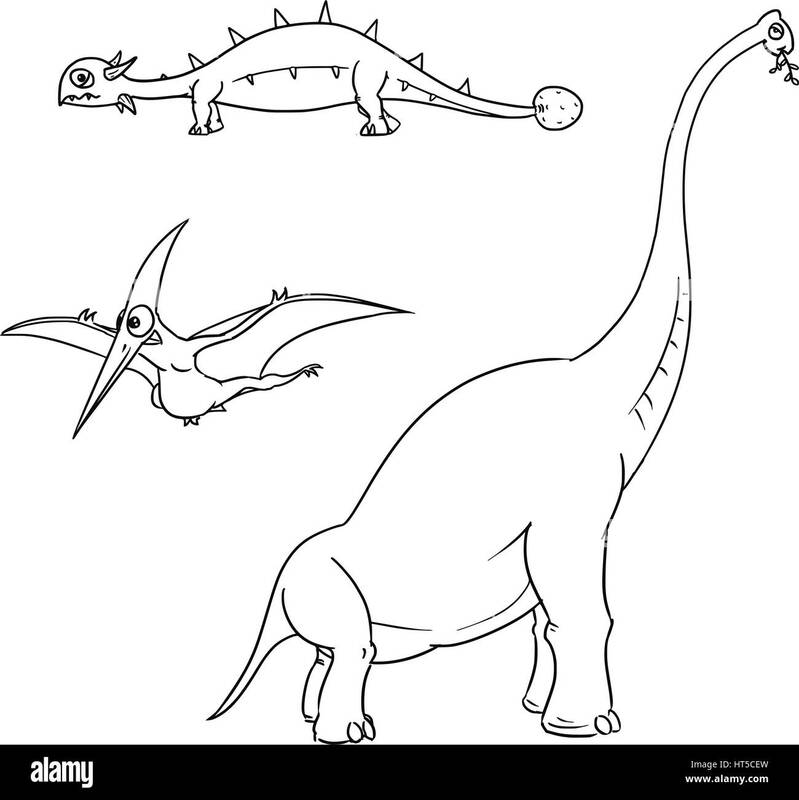 Anhanguera is a pterosaur dinosaur which ate fish during the Cretaceous Period of Brazil. 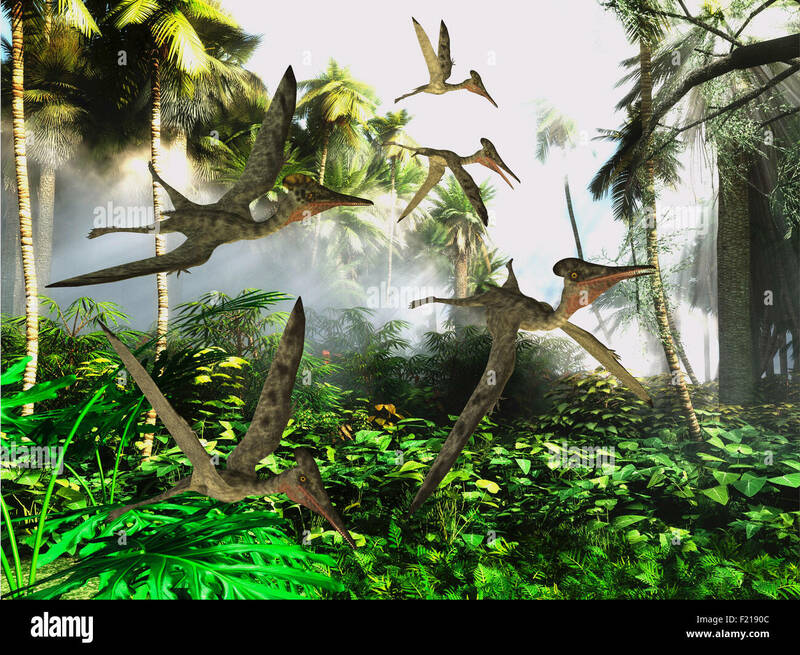 Stegoceras dinosaurs eat the vegetation along a rocky coast as Pteranodon reptiles fly overhead. 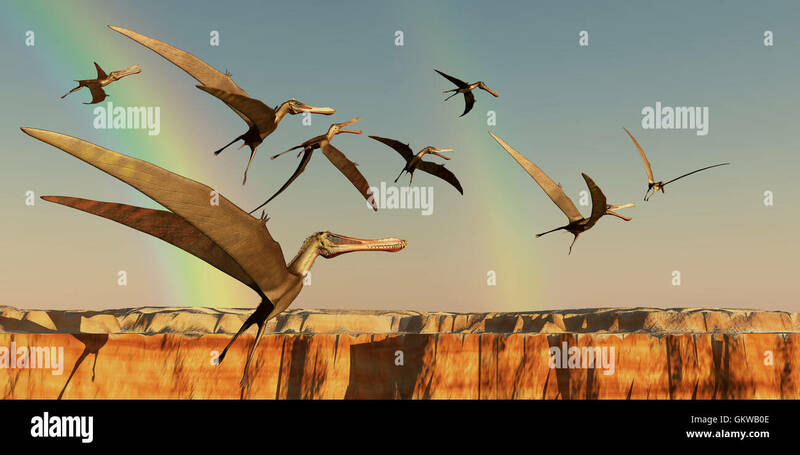 A flock of Pterodactyls fly out of a canyon looking for new prey to eat. 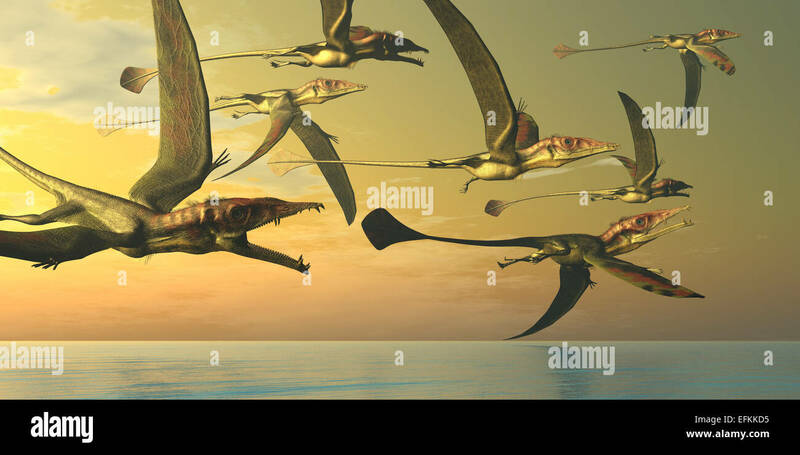 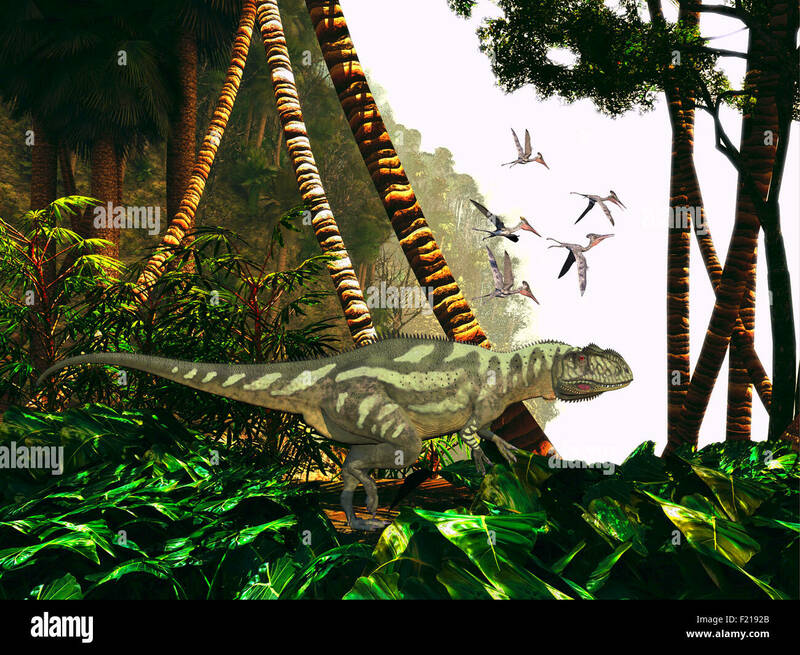 A flock of Eudimorphodon flying reptiles search for fish prey in the Triassic Era. 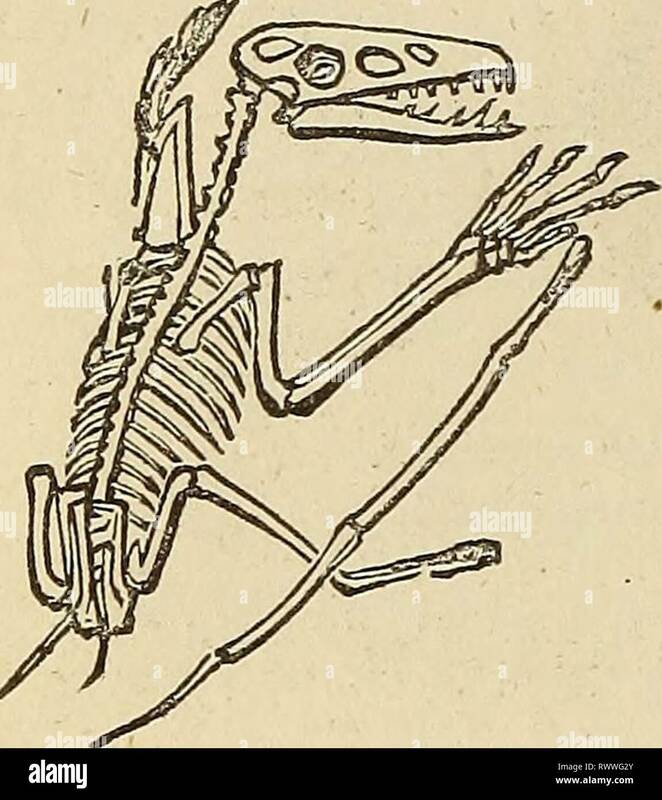 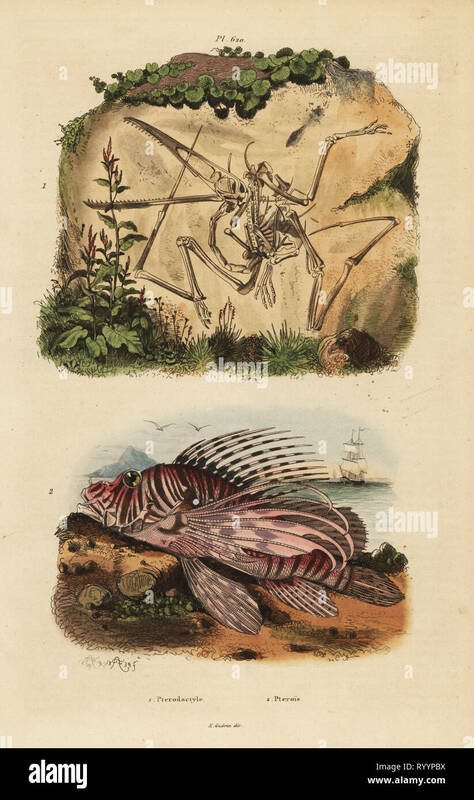 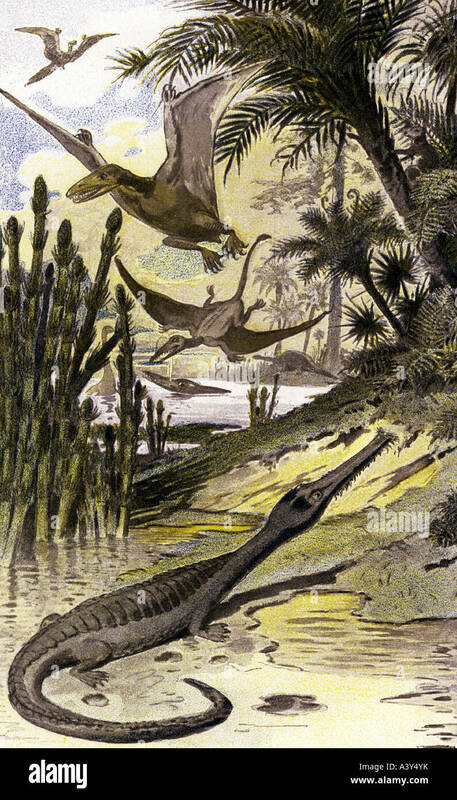 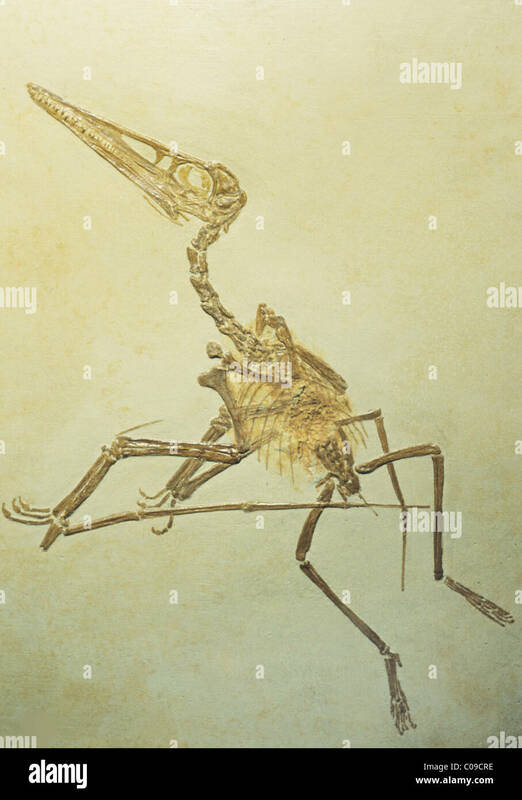 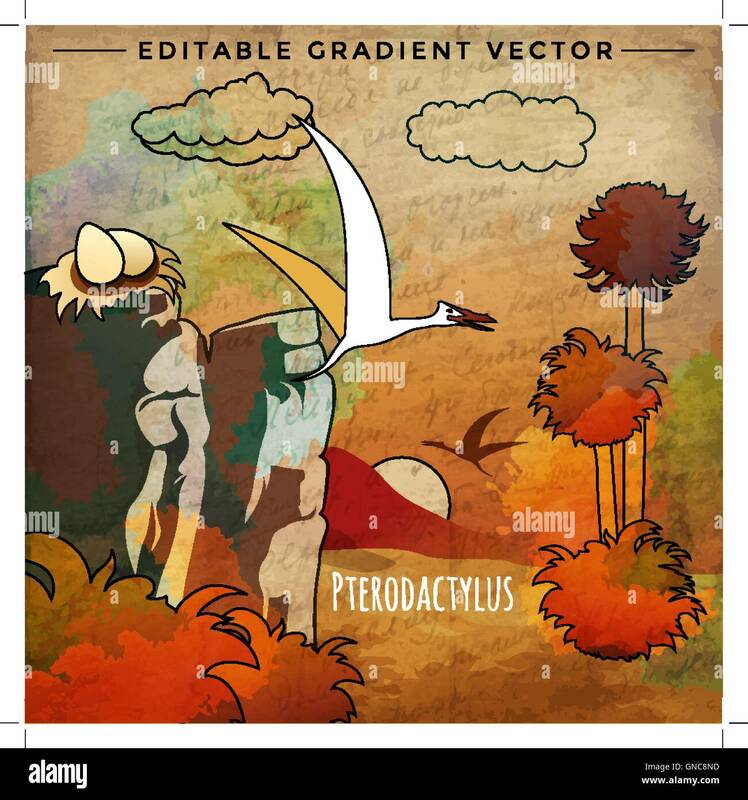 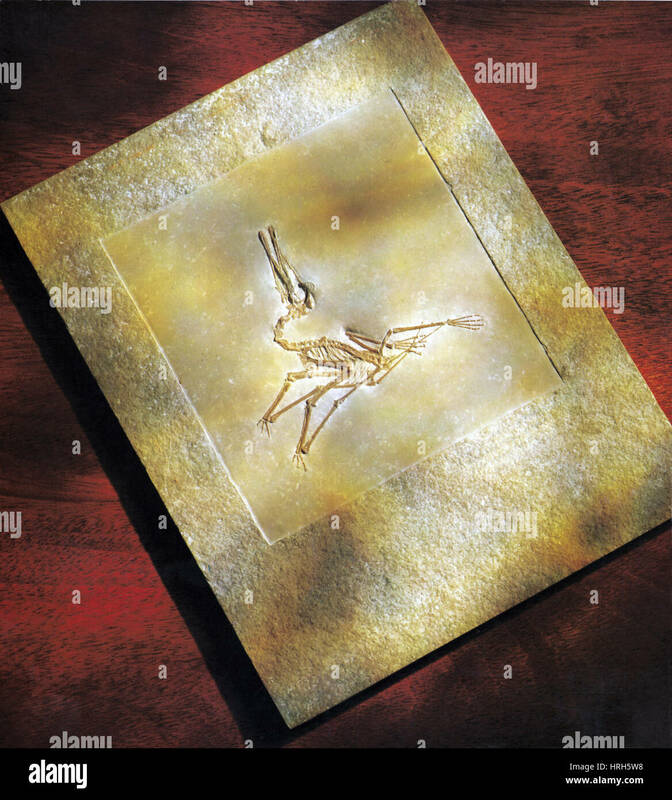 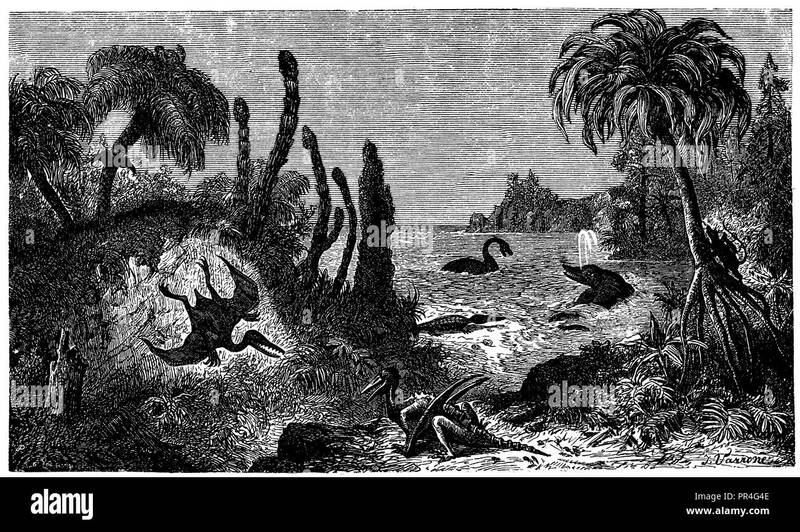 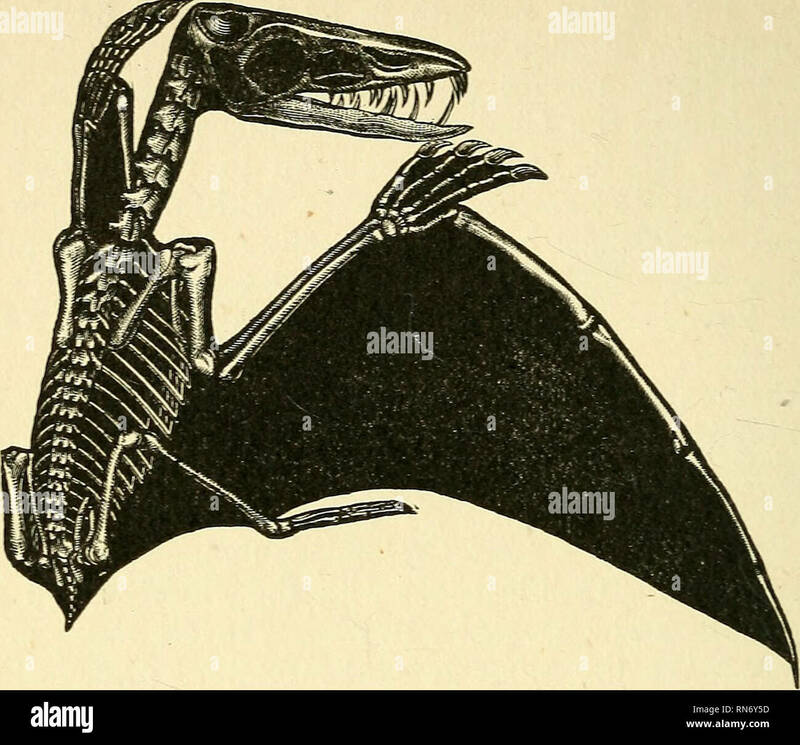 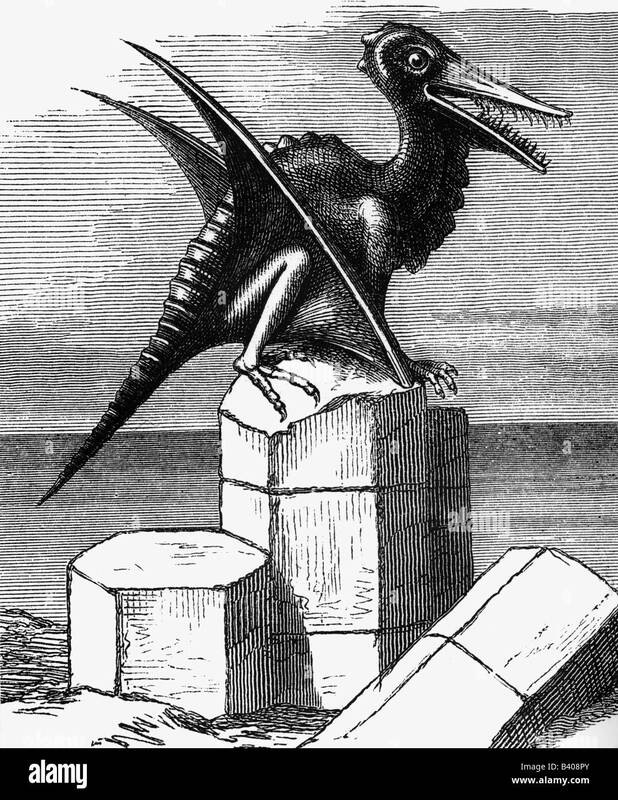 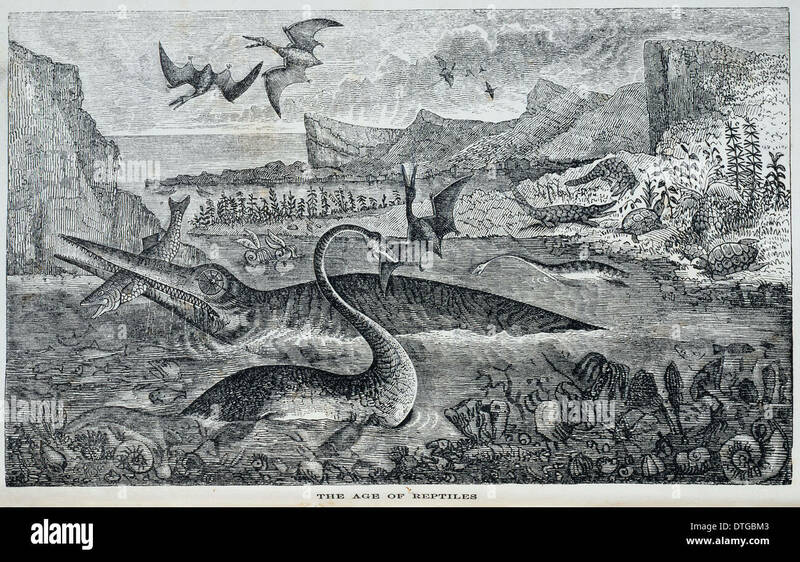 Pterodactylus vintage engraving. 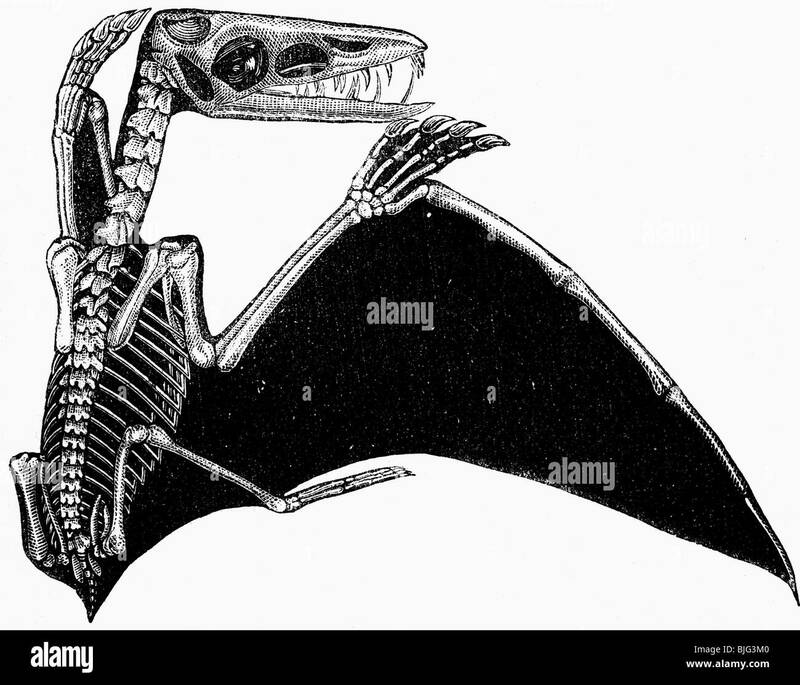 Old engraved illustration of Pterodactylus isolated on a white background. 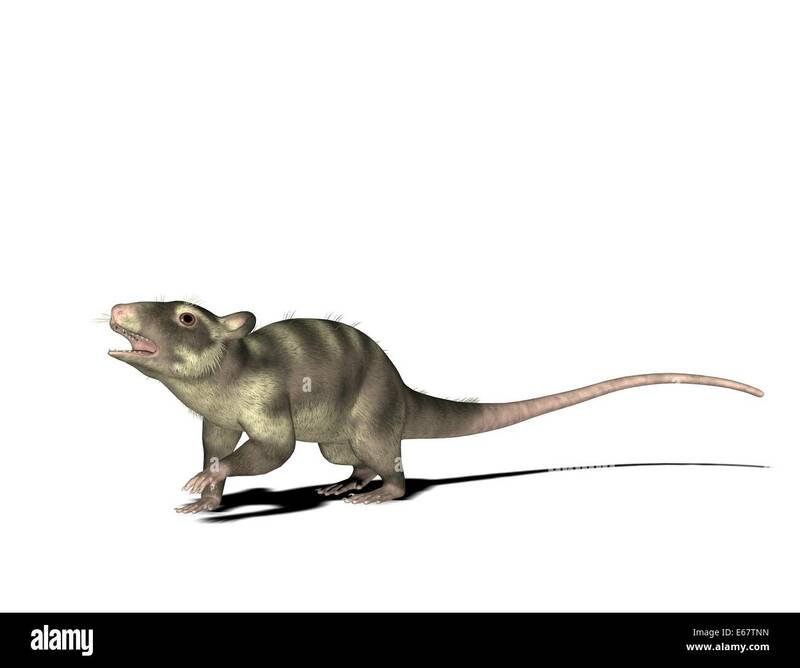 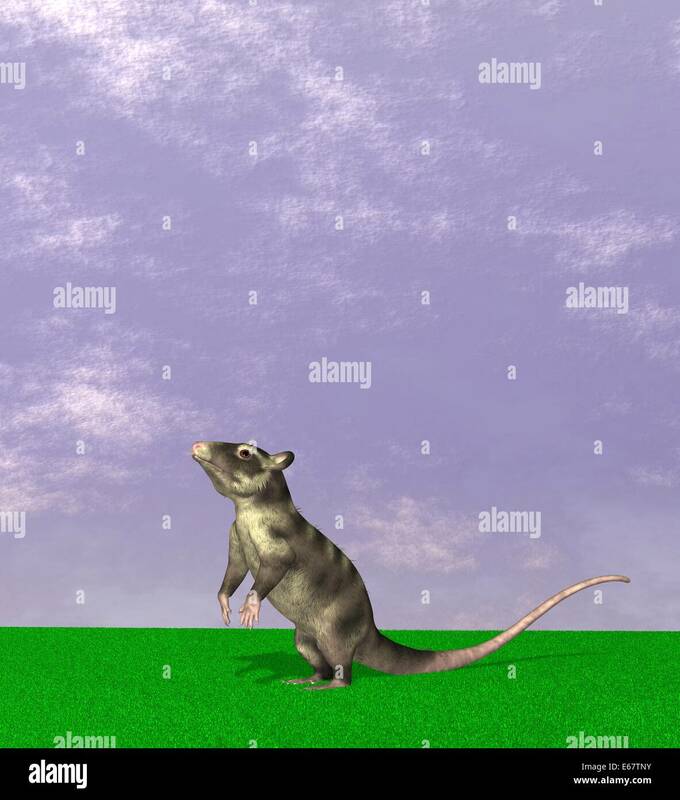 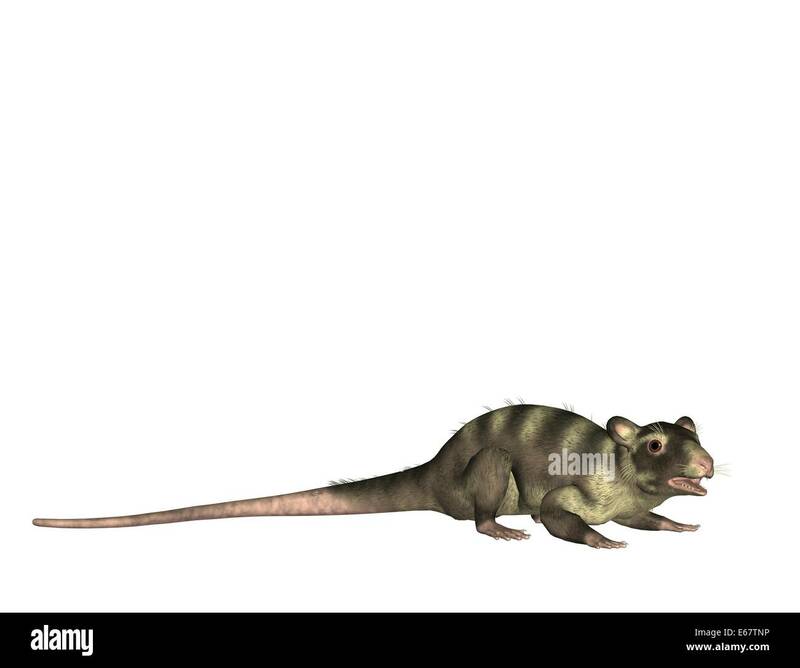 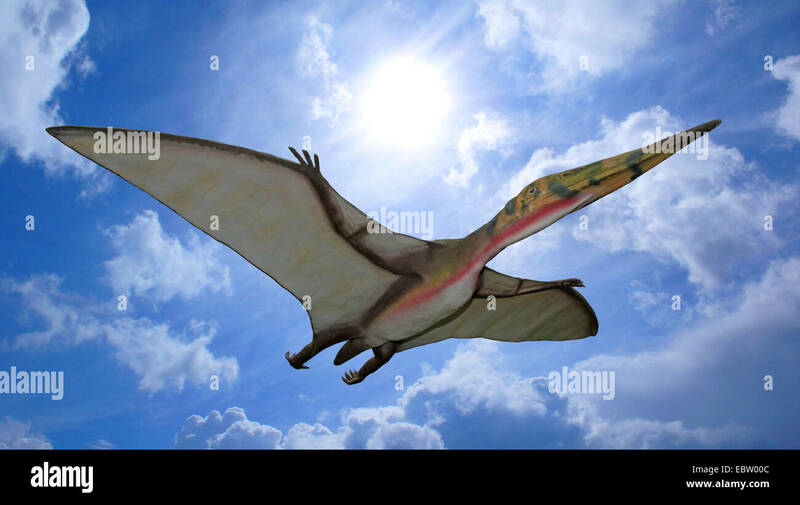 The Dorygnathus reptile was a predatory flying dinosaur that lived in the Jurassic Period of Europe. 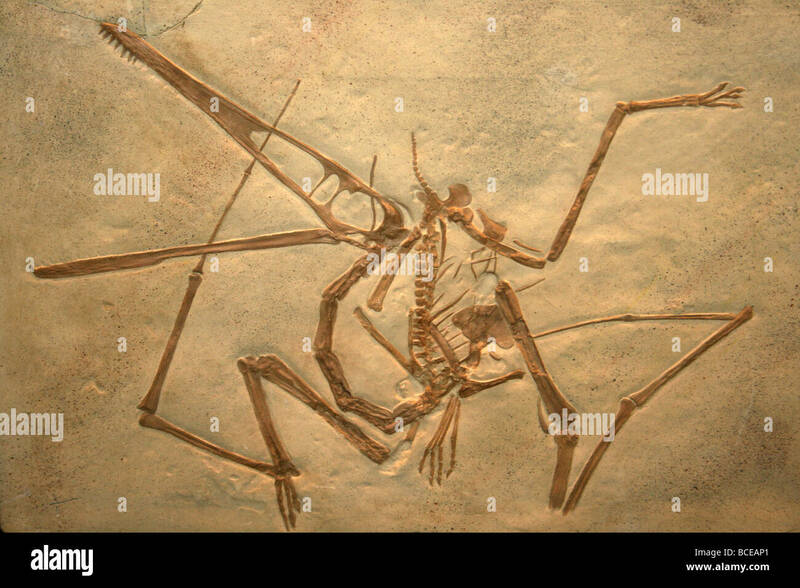 Archaeopteryx is the most primitive known bird and lived in the Jurassic Age of Germany. 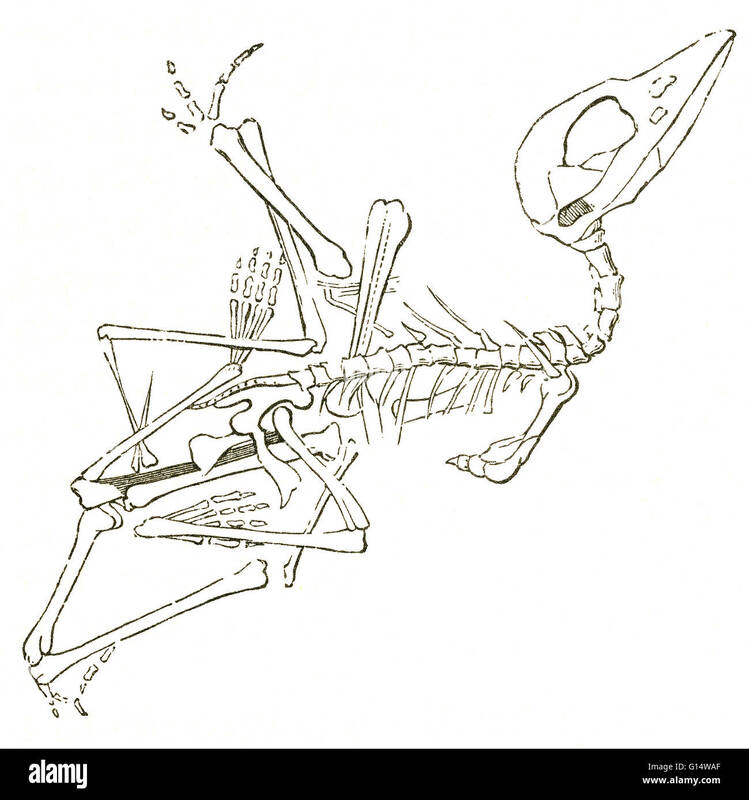 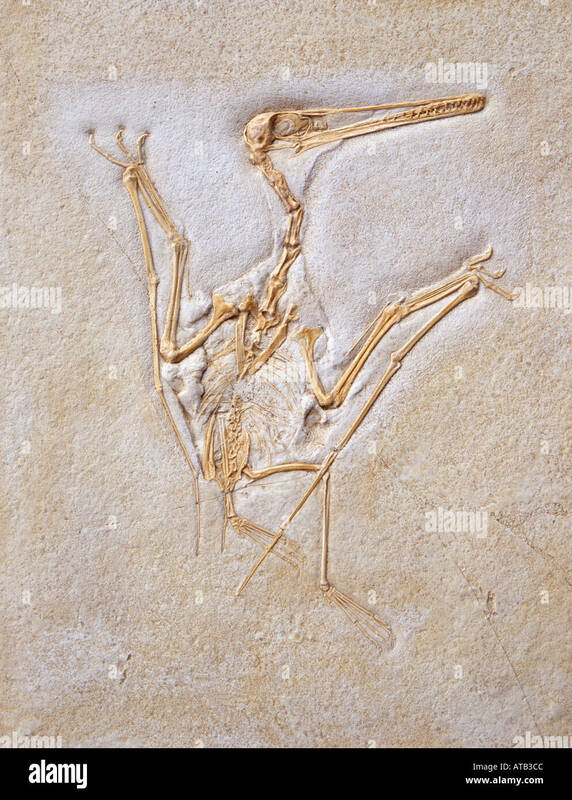 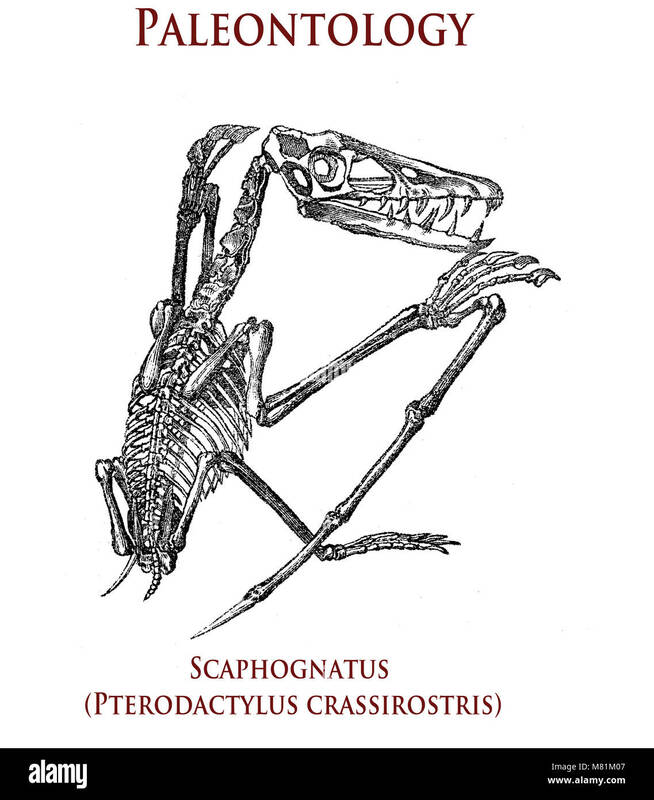 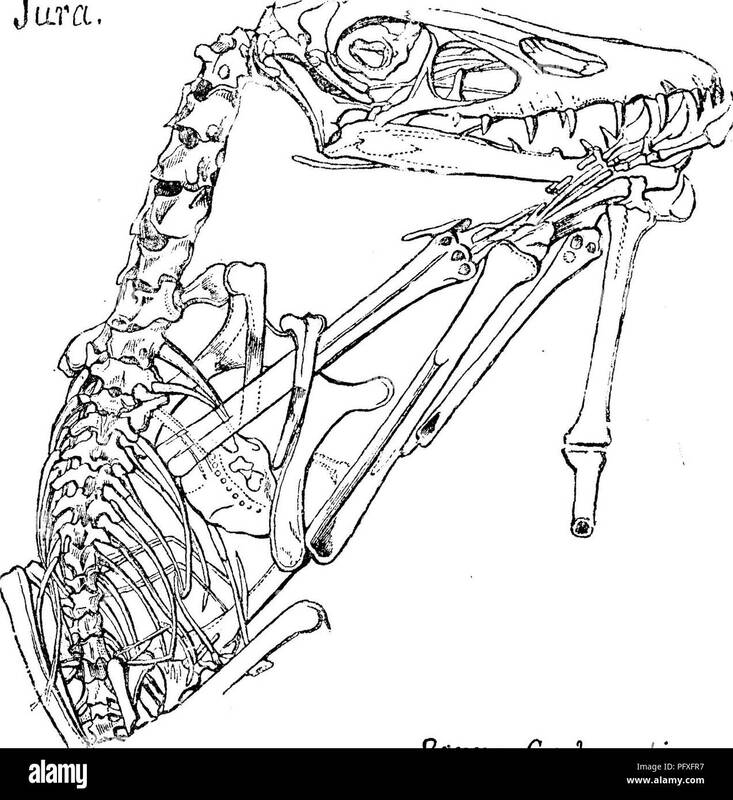 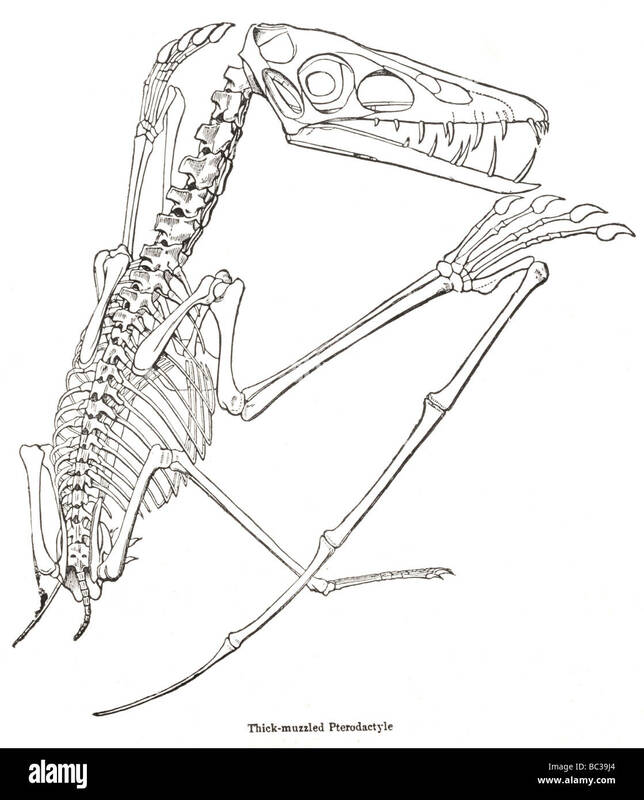 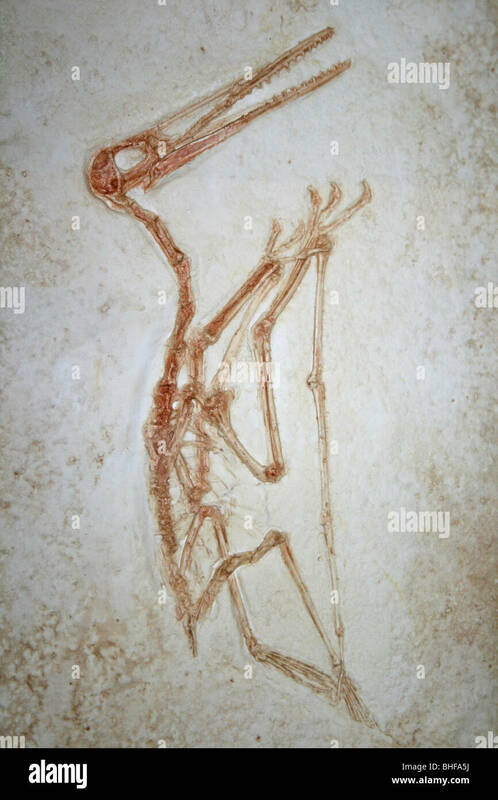 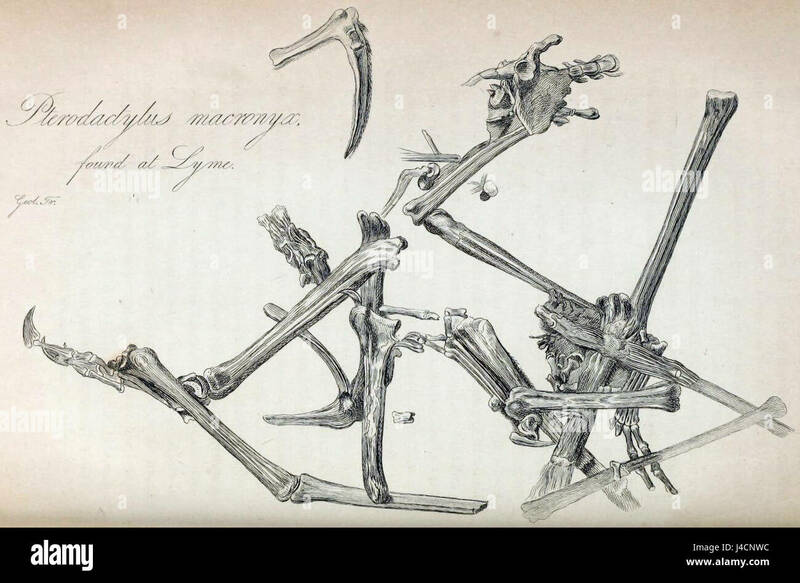 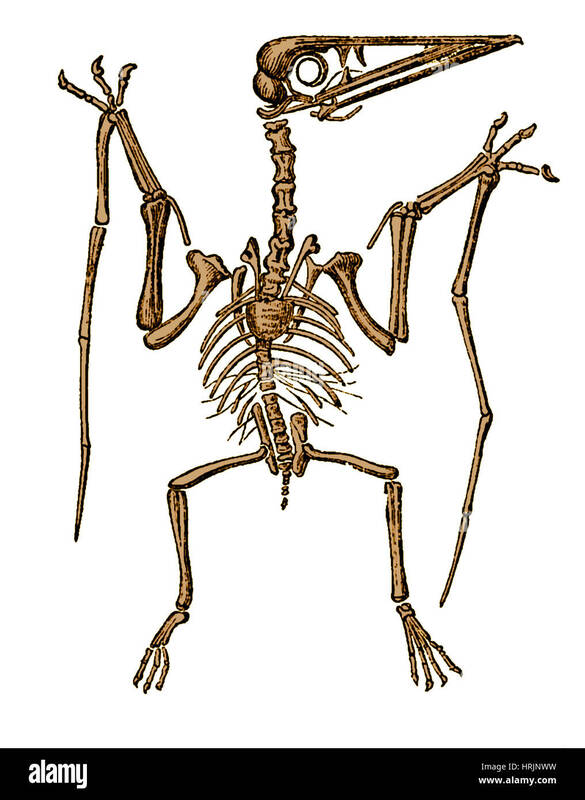 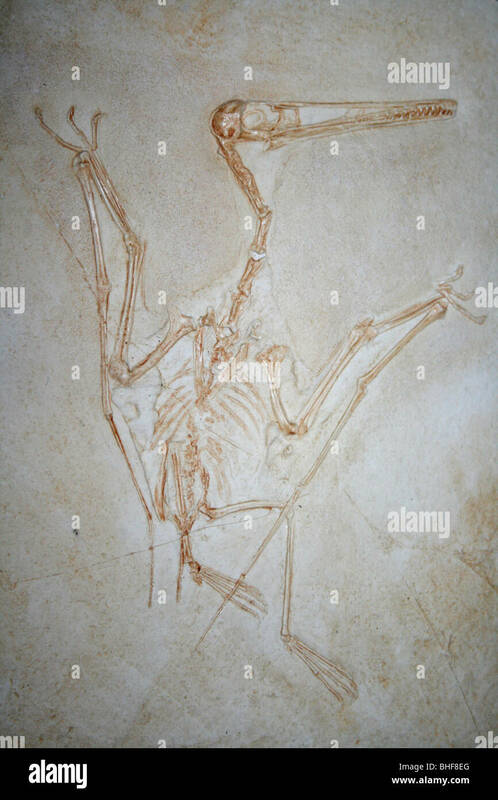 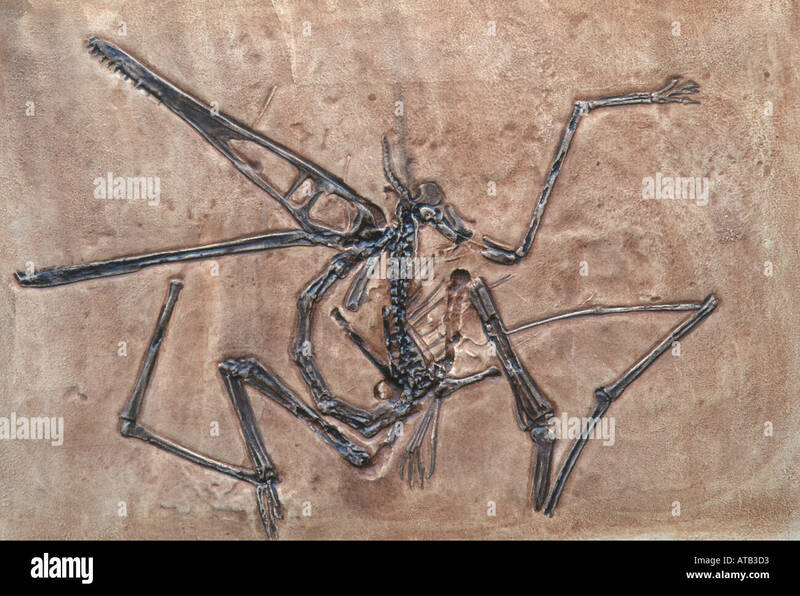 Skeleton of an extinct pterodactyl, Pterodactylus. 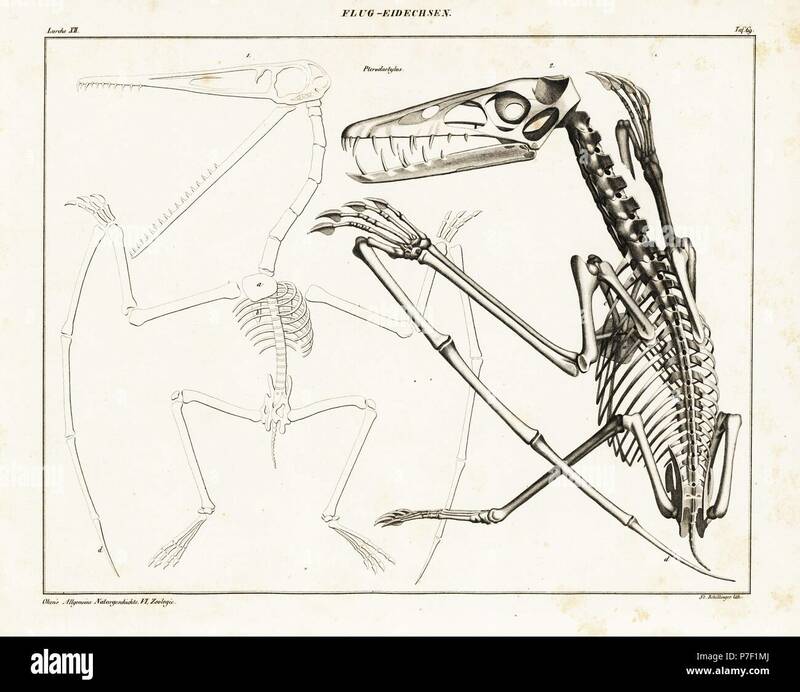 Lithograph by St. Schillinger from Lorenz Oken's Universal Natural History, Allgemeine Naturgeschichte fur alle Stande, Stuttgart, 1839. 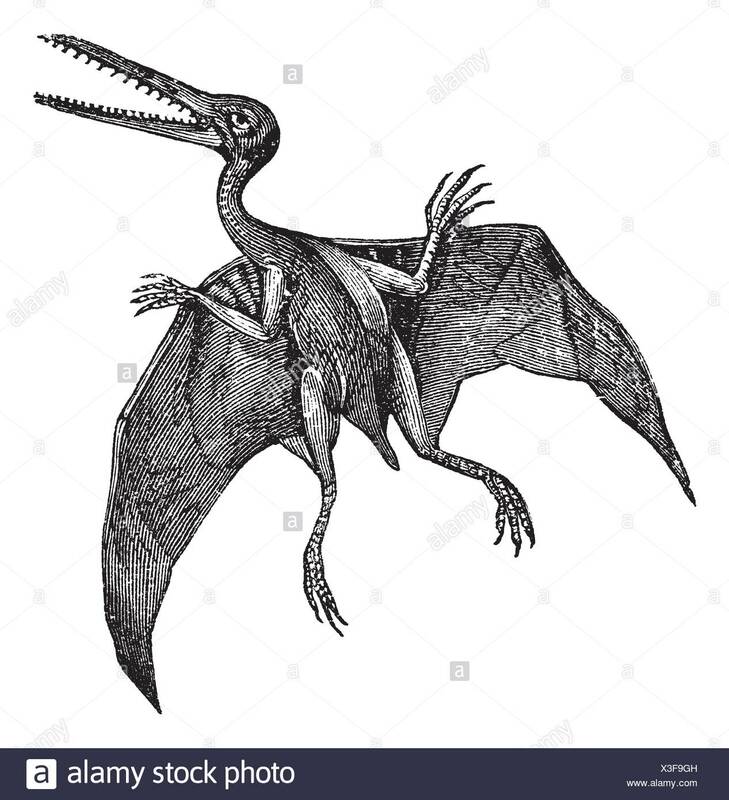 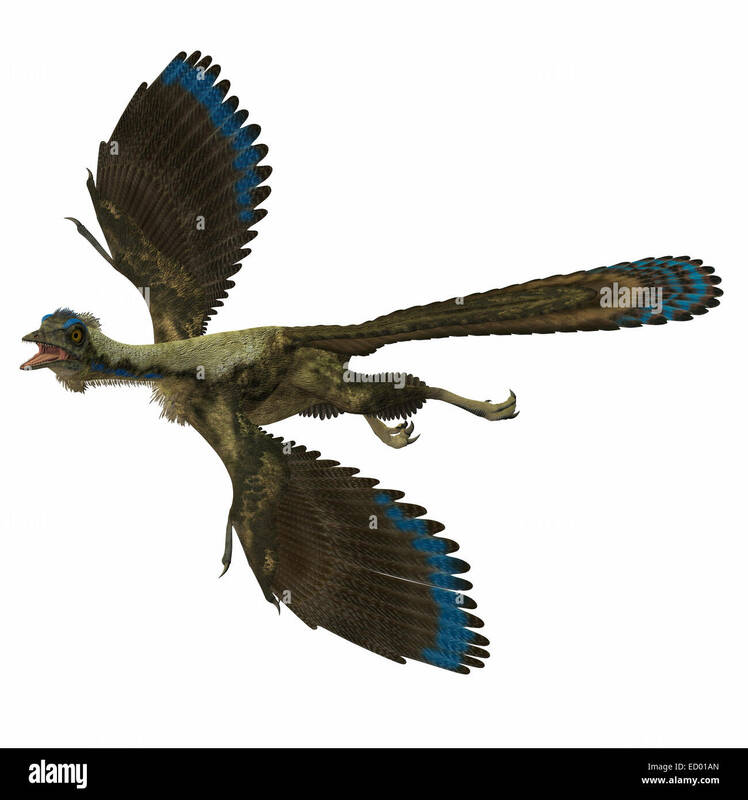 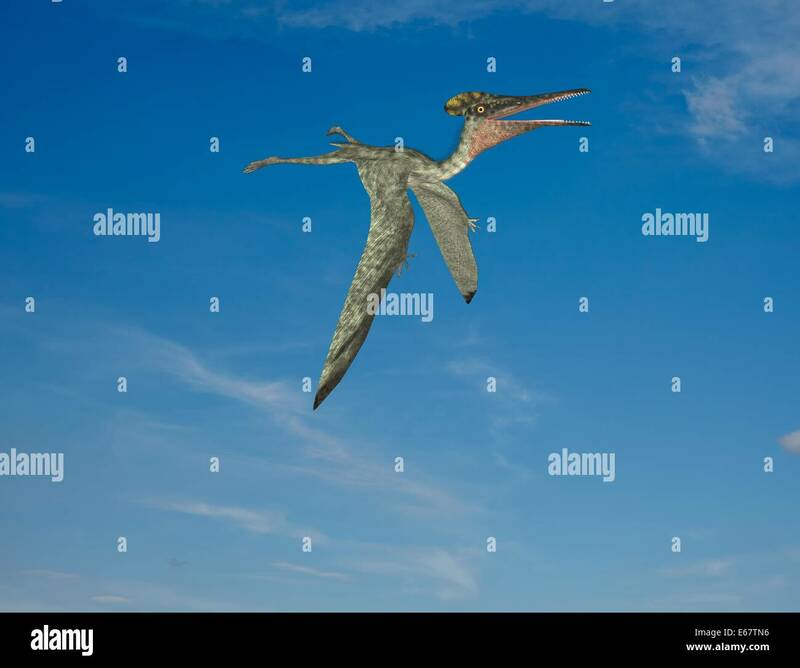 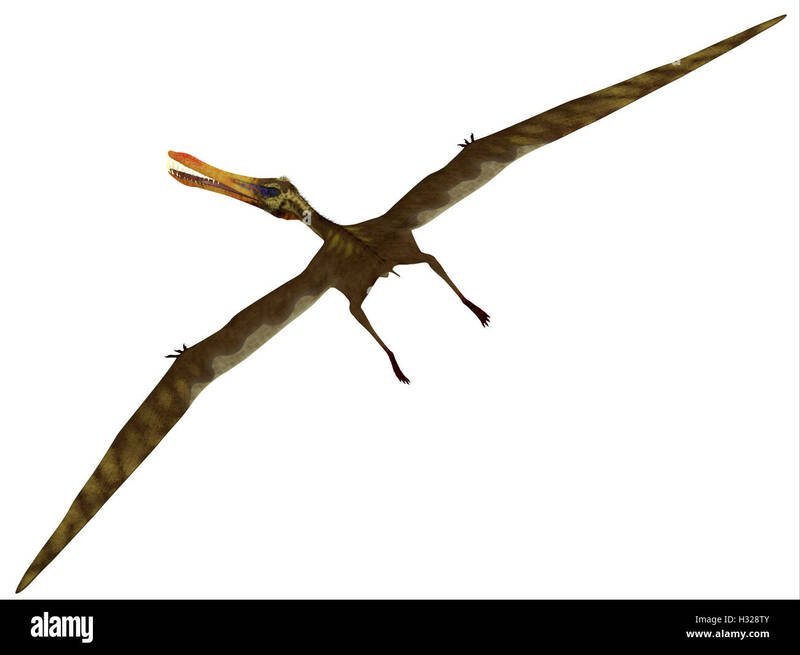 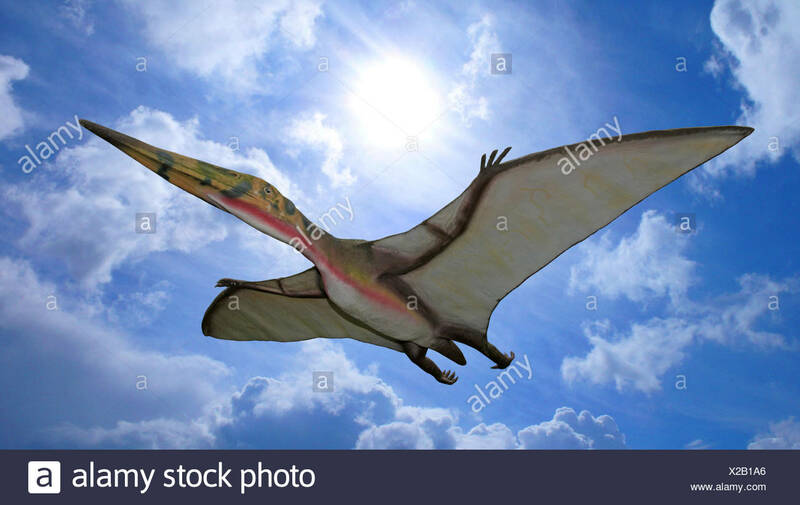 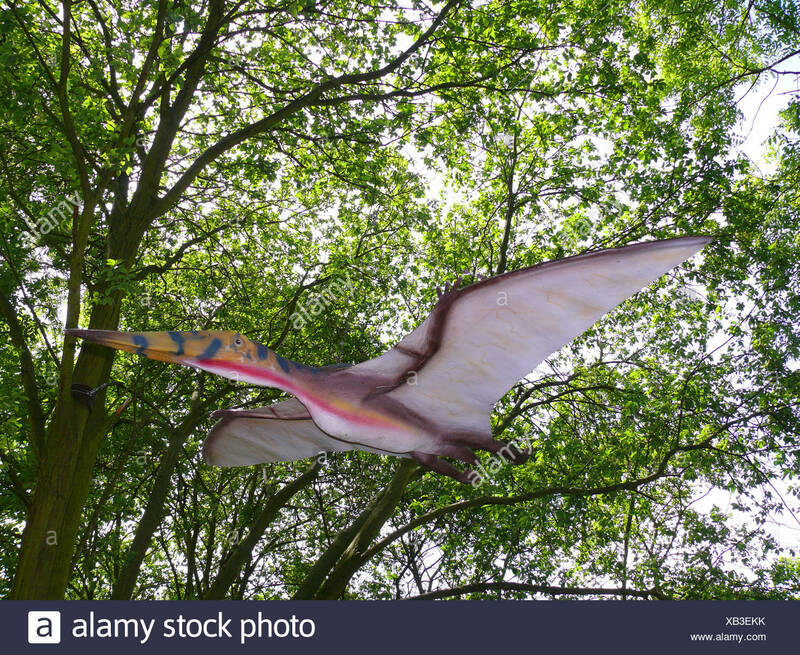 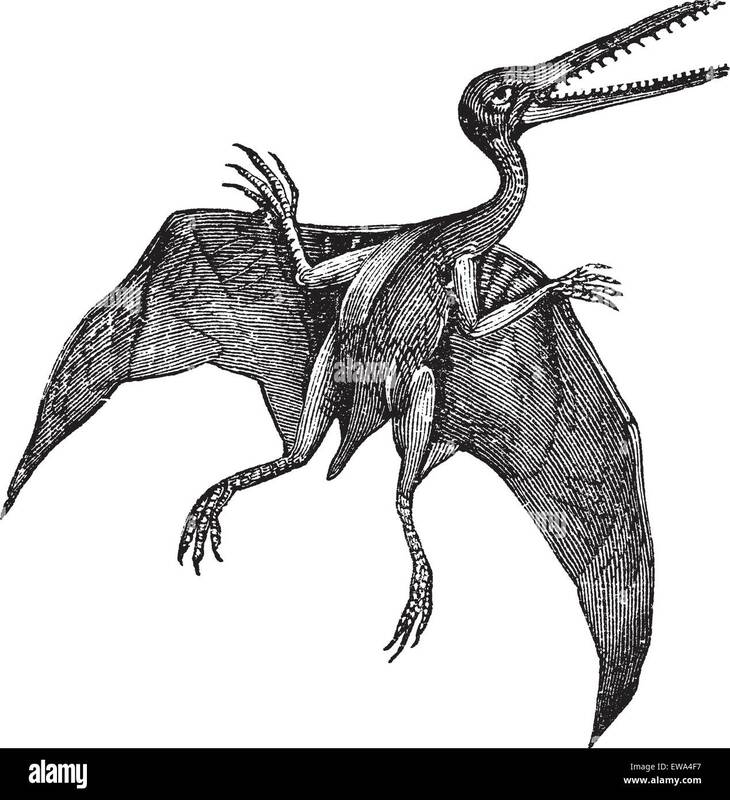 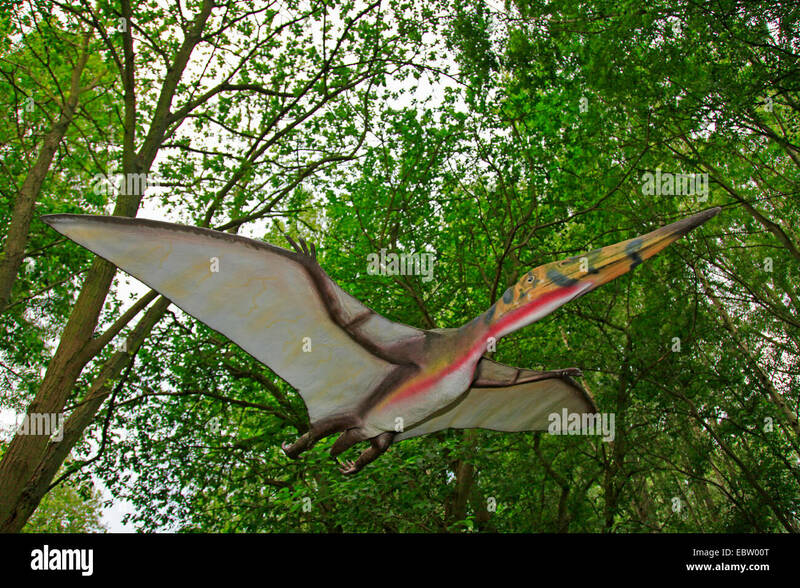 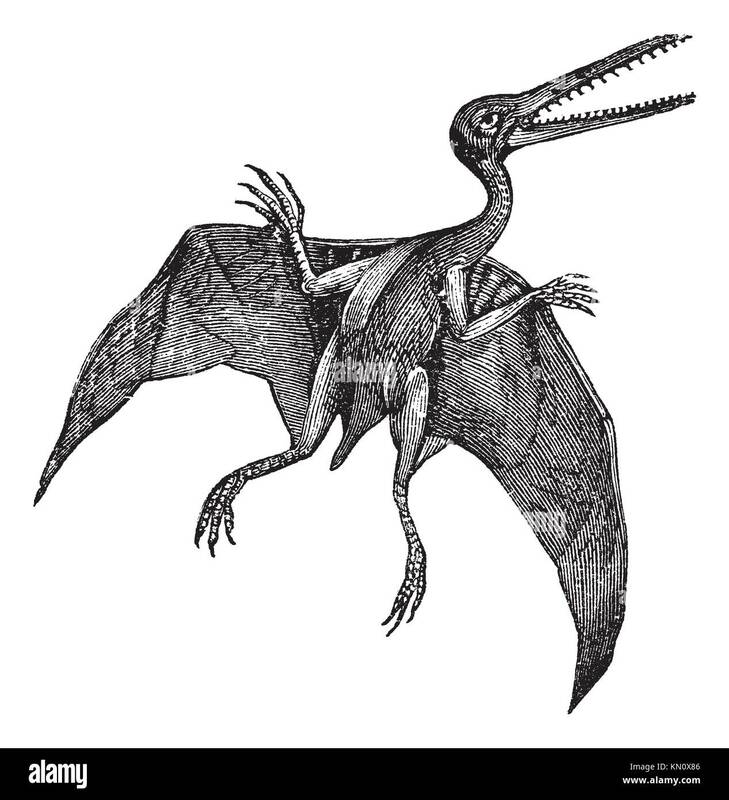 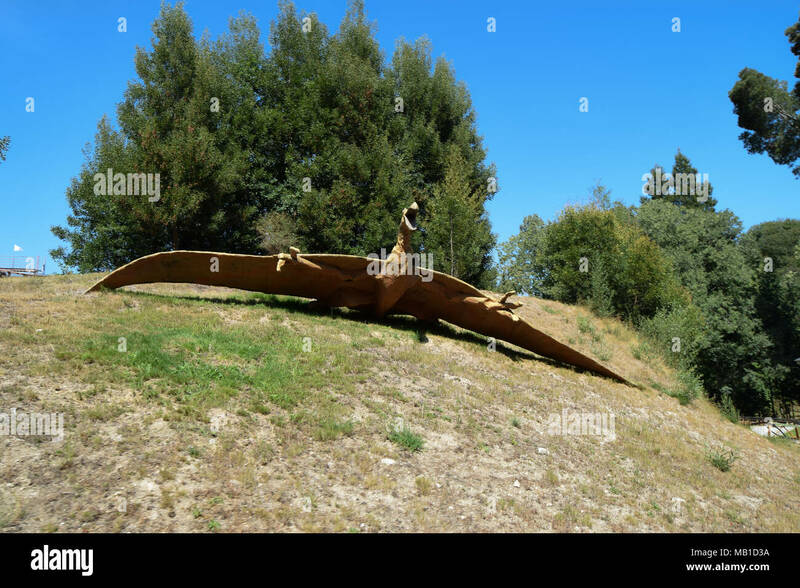 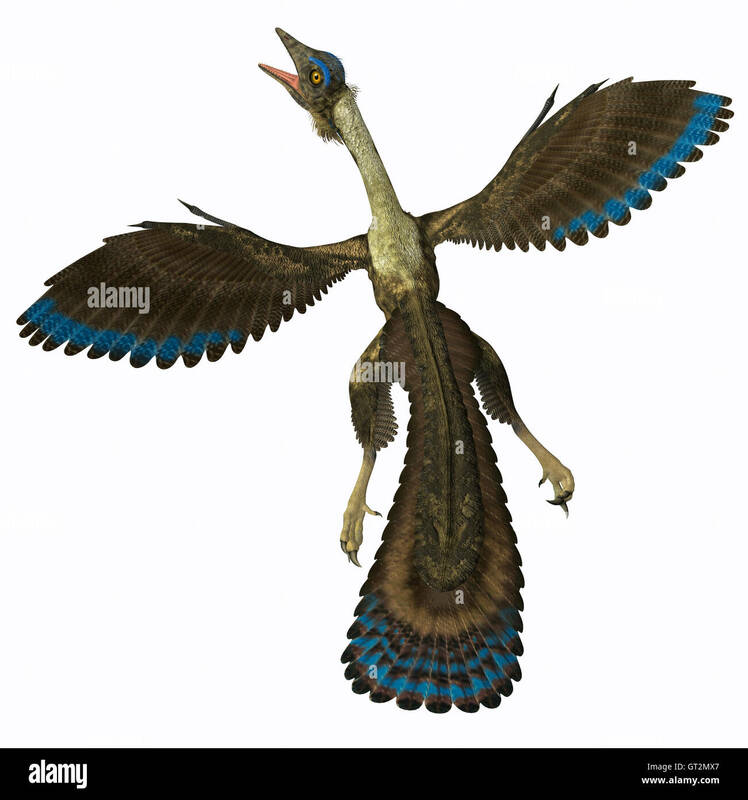 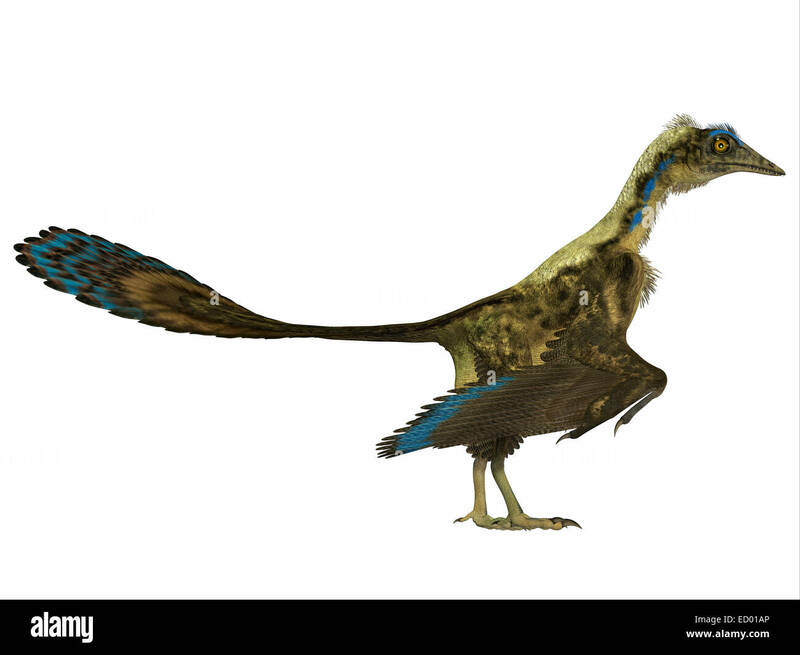 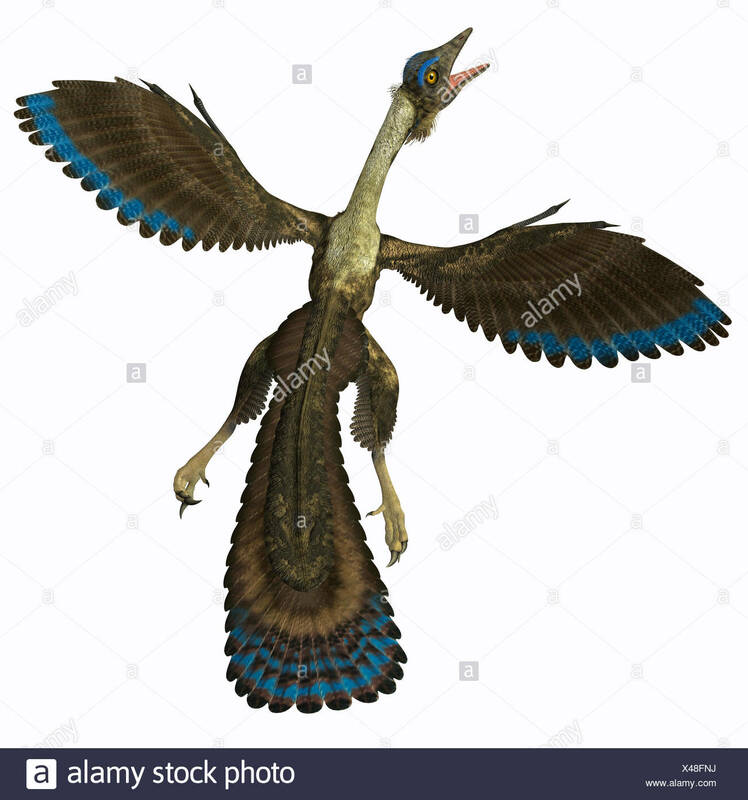 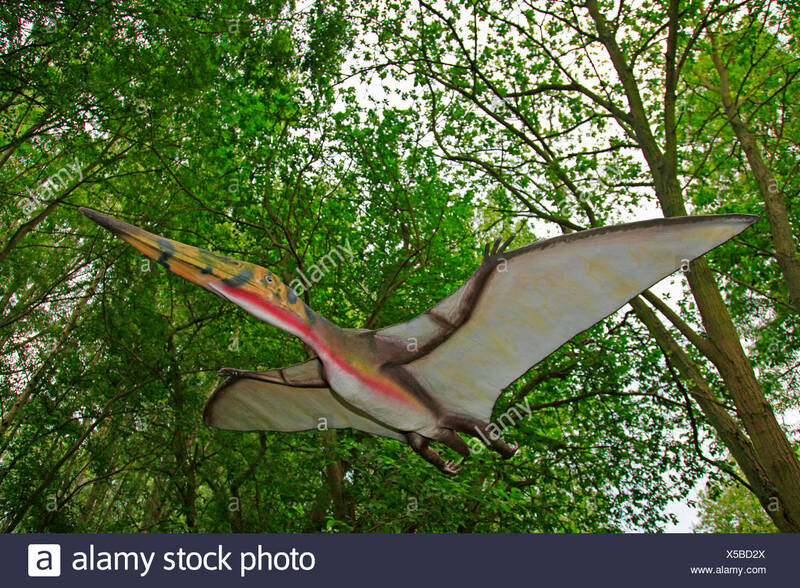 Eudimorphodon was a predatory flying reptile that lived in the Triassic Period and found in Italy. 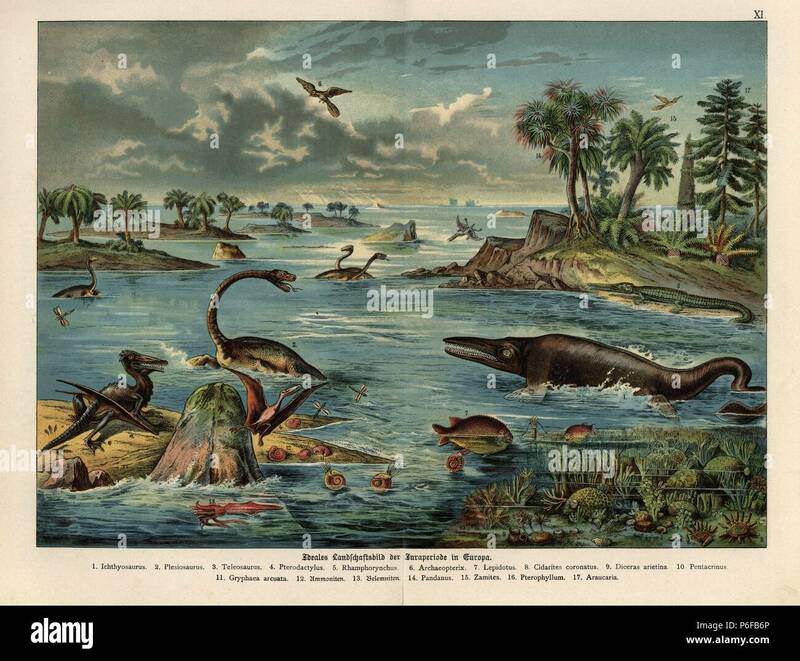 Restoration of a landscape in Jurassic era Europe: Ichthyosaurus, Plesiosaurus, Teleosaurus, Pterodactylus, Rhamphorynchus, Archaeopterix, Lepidotus, Cidarites coronatus, Diceras arietina, Pentacrinus, Gryphaea arcuata, Ammonites, Belemnoid, Pandanus, Zamites, Pterophyllum and Araucaria.